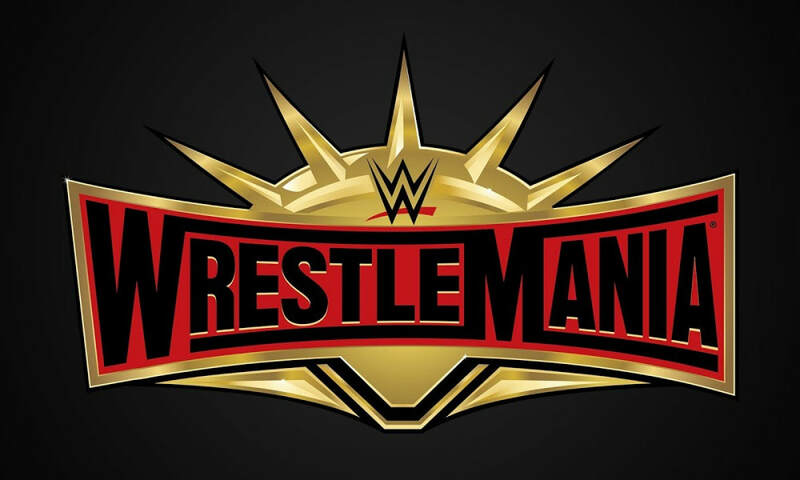 Triple Z gives his predictions for WrestleMania 35. WWE's return to the New York/New Jersey area. Breaking down every single match for the grandest stage of them all. Before I even begin the BreakDownZ for WrestleMania 35. The build up to WrestleMania 35 has been weird. That's the best way to describe it. Usually it is the most meticulously planned part in WWE's schedule. Now it feels like an event that is rushed and thrown together literally a week before the event. WWE is looking to catch some headlines. 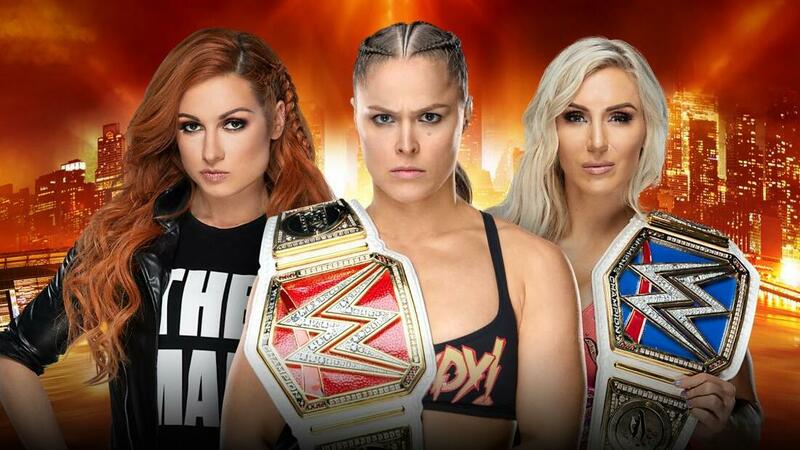 Giving Ronda Rousey, Becky Lynch, and Charlotte Flair the main event at this year's WrestleMania. Yet, that entire feud has become way too convoluted. This match now has both titles on the line. 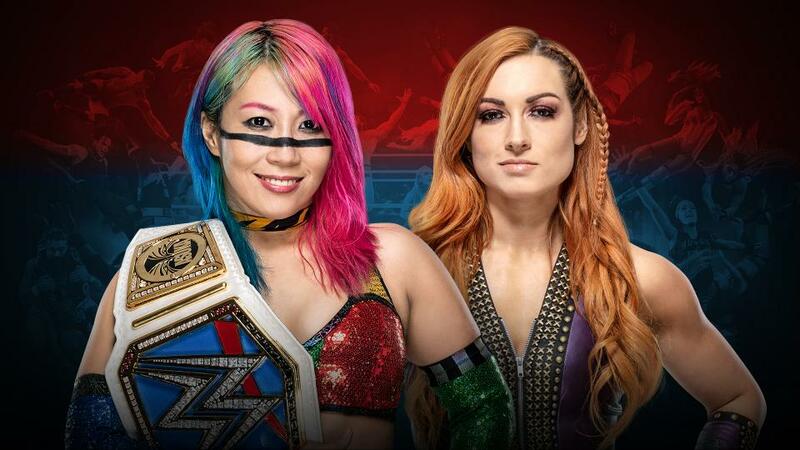 This historic main event has killed more Women's matches off the card. 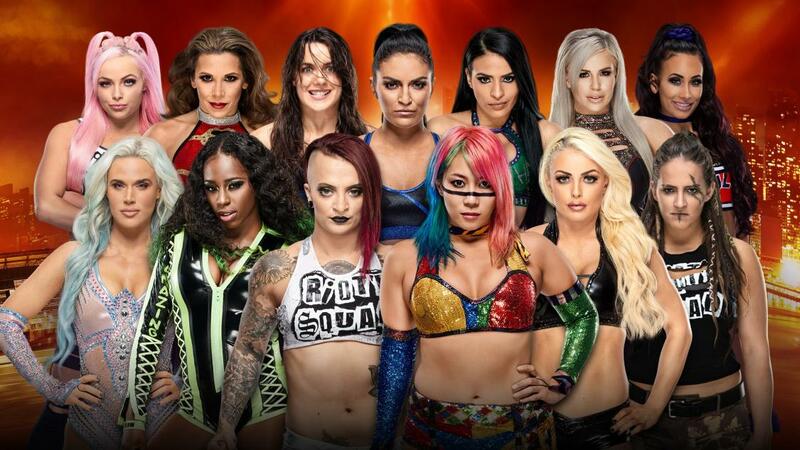 I'm sure the other women superstars will be in a battle royal. I'm sure they will appreciate that. Also, what does WWE do next year when the men go back into the main event? How do you explain that after the Women's Revolution? 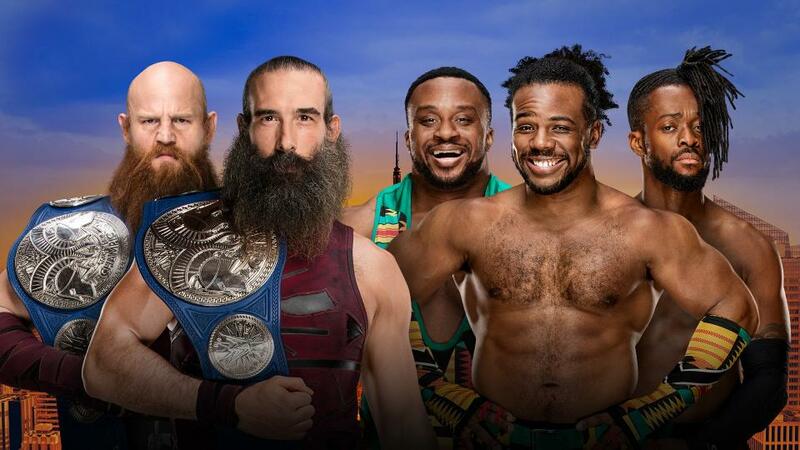 On the other hand, WWE has created one of the best organic feuds of the entire year in Kofi Kingston taking on Daniel Bryan. Back in 2014, Daniel Bryan was the top babyface. He was the underdog hero. Now, Daniel Bryan is a heel and he has become everything he fought against. Then comes the rise of Kofi Kingston. The audience has finally demanded his push after years of entertaining. 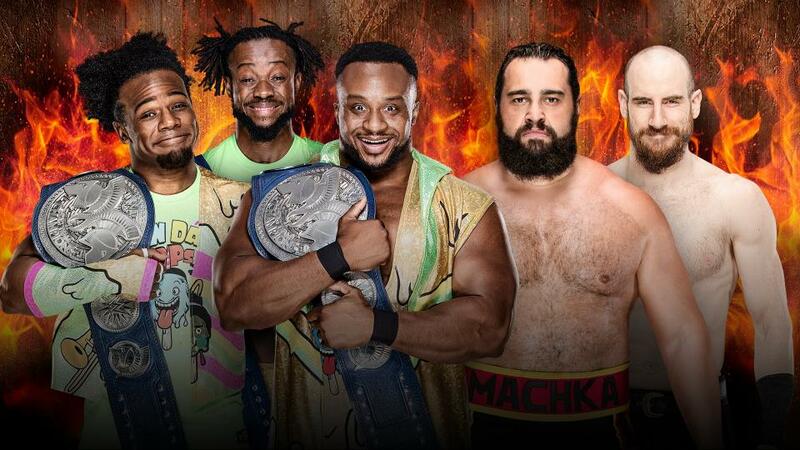 The New Day has become one of the biggest groups in WWE with major mainstream appeal. Daniel Bryan is known by the mainstream audience for creating the "YES" chant. Daniel Bryan vs Kofi Kingston would've been a more emotionally satisfying main event. Kingston finally reaching the top, and Daniel Bryan being a villain. And like every year. Before I get into the predictions. WrestleMania probably will run long. Either way the event currently doesn't have a memorable slate. Let's see if they are able to change that on the day of the event. Even though the reunion of Zack Ryder and Curt Hawkins gives a lot of fans the feels. It still doesn't make sense for WrestleMania. If this was the plan, which obviously it wasn't. Why not set this feud up earlier? Either way this seems like a kickoff match. 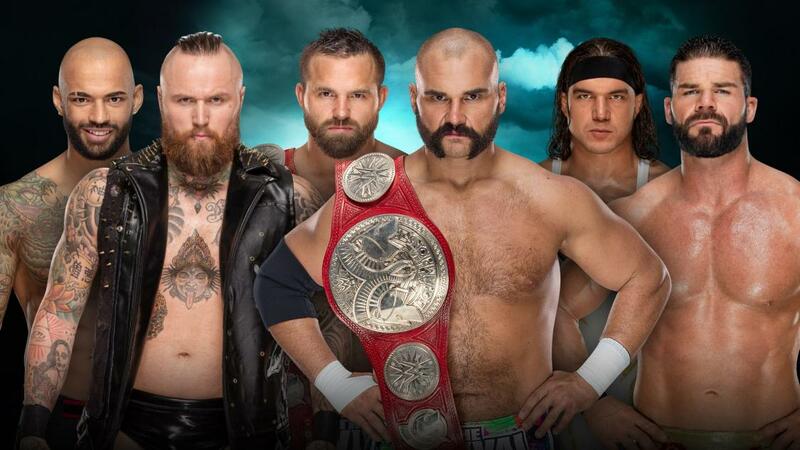 The Revival are going to drop the titles and The Edgeheads will be tag team champions for a day. My original picks to win this were either Carmella or Zelina Vega due to the event being in their home state. Now my pick is Lacey Evans because WWE is obviously high on her. I'm assuming this will be a 205 Live kickoff match? Let's have Tony Nese win here because why not? I give them props for doing this match. Hopefully, it isn't on the kickoff show. This match is important for obvious reasons. Let's bullet point it. Beth Phoenix returns for this match. IIconics finally are being recognized. It's the only other women's match scheduled outside of the main event during WWE's "Women's Revolution"
I'm going to break down each team. I'm sure my fan bias will be reeking. Yet, this is the best way to do it. Nia Jax is just bland. WWE keeps pushing her even though majority of the fans couldn't care less. The same goes for Tamina. This duo is just not it. Boss N' Hug is a curious case. Sasha Banks clearly needs to be a heel again. The women's division needs legitimate heels. Not Nia Jax heels. Banks could provide that. Bayley should gear up for another singles run. Maybe move them both to SmackDown? The next team is the IIconics. The only true, full time team. Yeah, you can make the argument for Banks/Bayley and Jax/Tamina. Let's face it there not true teams. The IIconics have the most potential overall on the main roster. If they are used correctly. They actually can wrestle, and they are over-the-top characters. Beth Phoenix makes Natalya better. Beth Phoenix gets to finally compete in a better era. It's truly remarkable to watch. Phoenix was at the crossroads. She didn't get to face the likes of Trish Stratus and Lita. This era suits her better. Like it would for most of the women back then. I don't see them winning the championships but this team competing at Mania is pretty special and pretty cool. I think this isn't the last we have seen of Sasha Banks and Bayley. For now, I think the championships will belong to the IIconics. I may be wrong. I'm just making a bold prediction. This battle royal just is sad. It could be used as a launchpad or a way to introduce new talent but WWE would rather have Braun Strowman win it every year from now on. Which on WWE's end takes care of Braun's booking every year. Most people are against WWE's recent relationship with Saturday Night Live. I'm actually fine with it. The only part that is iffy is that Colin Jost and Michael Che aren't even believable wrestling celebrities. Gronk, Floyd Mayweather, and other celebs just come across better because of their physical presence. Jost and Che have comedic chops but them actually wrestling someone like Braun isn't funny. Unless Braun brings in his tag partner Nicholas from a year ago. Still Braun wins this and SNL shines. I'm assuming this is a main card bout. I don't think the WWE would put The Uso's on the kickoff show let alone The Bar or the new NXT call ups. The Uso's just re-signed with the WWE. 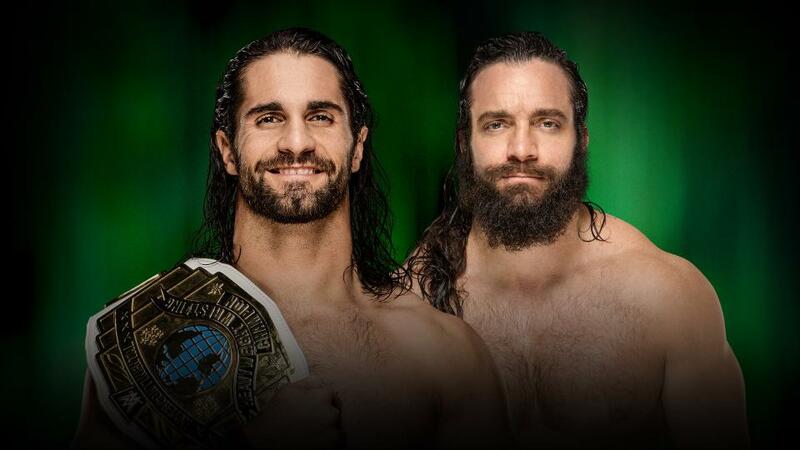 We could see them walk out tag team champions. Yet I think WWE will go the "surprise" route with Ricochet and Aleister Black making their marks early on in their main roster call ups. That's the problem with these call ups. WWE doesn't play the hot hand. Even though it may be formulaic. Taking the NXT talent that were successful and sky rocketing them on the main roster is a better strategy than calling them up and letting them sit. Examples include EC3, Sanity, Tye Dillinger, and Andrade at the beginning. So, having them win the titles right away isn't too soon. It's actually a good play. 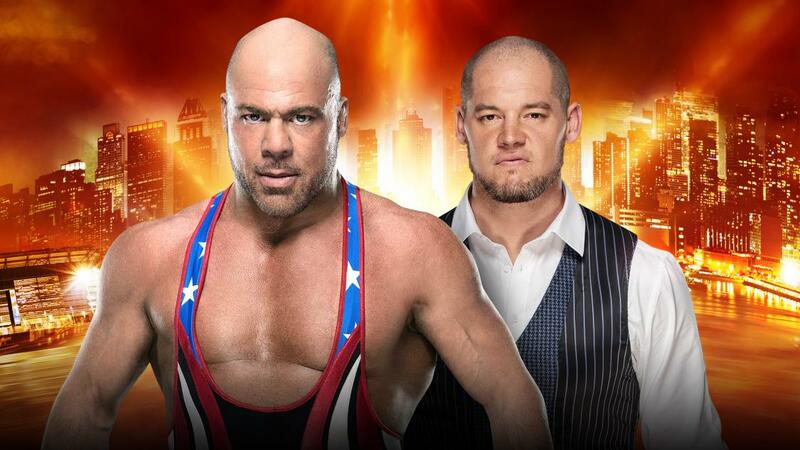 Kurt Angle's last match is against Baron Corbin. The decision was unpopular. 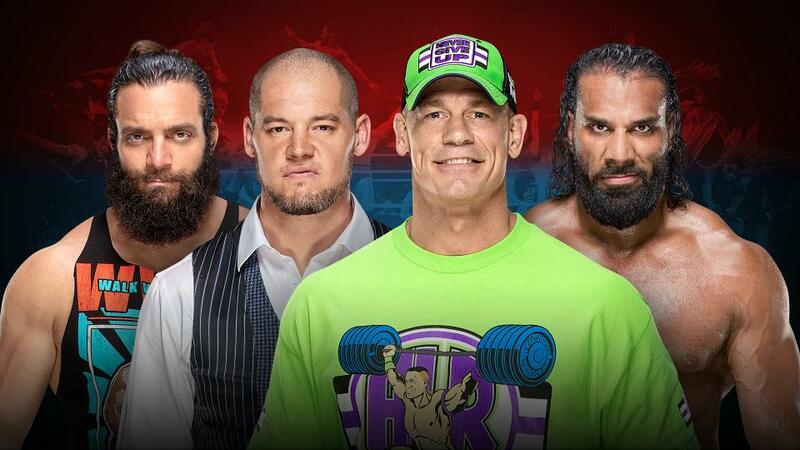 I'm fine with the match but I'm more concerned that Kurt Angle can no longer carry a match. They are sticking him in the ring with Corbin who isn't exactly a great in-ring psychologist. John Cena would've done a better job making Kurt Angle look good in his final showing. Angle has shown his age and it's good he's getting out of the game now. It was heartbreaking watching some of the singles matches where he could barely move or when he was getting mauled by Drew McIntyre. Not to mention his awkward entrance and exit fro this year's Royal Rumble. I think Angle is abandoning the tradition of going out on your back. I think he defeats Baron Corbin soundly. It's just sad that the Hall of Famer's last match isn't a big deal. This is just all around bad. 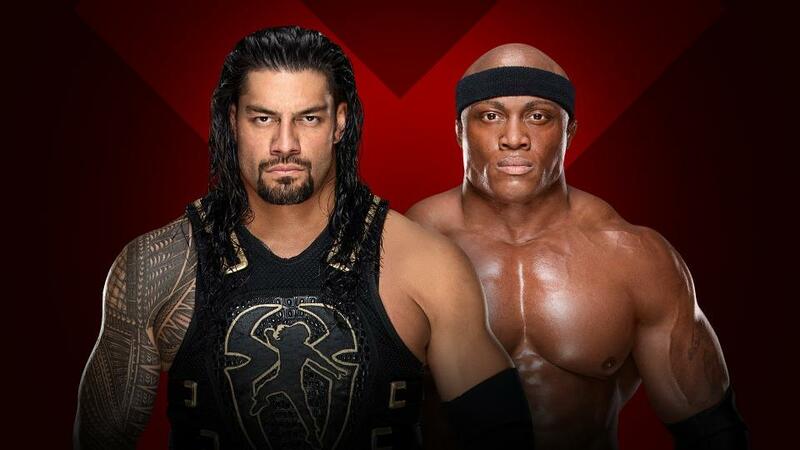 Bobby Lashley is currently at a whatever phase within WWE. Remember last year he returned on the RAW After Mania and he had all the potential? Yep a year back on the WWE track drained that potential. I am a huge fan of Finn Balor but his character is poorly written on the main roster. It's kinda up to Finn to change that. The usage of the demon feels unnecessary. WWE just wanted The Demon entrance at WrestleMania. This match is a toss up but you have to assume Finn Balor walks out with the title? The bigger question WWE needs to answer is why the mid card titles don't have multi man ladder matches? That's where WWE could benefit from finding a new "Money in the Bank" gimmick or something. The amount of singles matches are unnecessary especially when they aren't WrestleMania worthy. This is a WrestleMania worthy one on one match. It's a dream match. Despite SmackDown's loaded roster not getting an opportunity at the championship. Could you imagine a ladder match with Andrade, Ali, R-Truth, Kevin Owens, Samoa Joe, Jeff Hardy, Matt Hardy, and Rey Mysterio? That would've been the match of the night. Honestly Samoa Joe probably wins this sound. Unless WWE has a vendetta to "bury" old school TNA at WrestleMania. More on that in the next section. This is WWE vs TNA. Despite how much WWE loves AJ. Do you think they are going to let Randy Orton lose to the man who was the king of TNA for years? This is exactly like Sting vs Triple H. If we go based on the story it's obvious Sting and AJ win. Yet, WWE will probably have their guy prevail. Randy Orton wins on a wicked RKO moment. I'm glad to see Roman Reigns back, and I'm happy to see WWE isn't rushing him up the card. I don't like Drew McIntyre. I think fans completely over-rated him when he was released from WWE and went back on the indies and went to TNA. I'm not impressed with him, and quite frankly he's probably one of the worse NXT big signings in recent memory. I hope Reigns wins quick on Sunday. I know McIntyre will continue to be pushed, and there will be people who love that he's being pushed. I honestly wouldn't be surprised if he wins a title on the night after Mania or if he's a key switch in the Superstar Shake Up. Still this is a very unnecessary singles match. If it is a match you can see on RAW every week then it shouldn't be booked at WrestleMania. This is such a strange match. Shane McMahon is still wrestling but half of his matches don't have any stakes or purpose. At least The Miz and Shane get to face off in a Falls Count Anywhere match. So, we will get to see some new areas and some wild spots hopefully. Pretty easy pick for winner. How did Batista and Triple H make one of the best feuds of WrestleMania season? Batista has been out of the game. Triple H doesn't do a lot of storylines anymore. Yet this match is going to be exciting. Triple H's in-ring career is on the line. Batista is using this as his final match before he goes back to conquering Hollywood. Maybe it is because this feud captured real emotion and there is a sense of realism. Something WWE needs to do in the other feuds, and something that NXT does really well. Batista and Triple H probably will be the longest match of the night. It will be a back and forth with Triple H coming out on top. When Brock Lesnar cares he puts on a good show. Let's hope Lesnar cares for Seth Rollins. Brock Lesnar has done well against Daniel Bryan and Finn Balor. Now we have an opportunity to see Seth Rollins win the Universal Championship, and defend it regularly. I hope this match is given the time of day. WrestleMania gets overstuffed and I really would like to see this match shine. I think it's obvious Brock Lesnar is dropping the title and will pursue UFC again before doing another WWE stint. There isn't much to analyze other then how lucky we are. Daniel Bryan is competing again, and he's a heel. 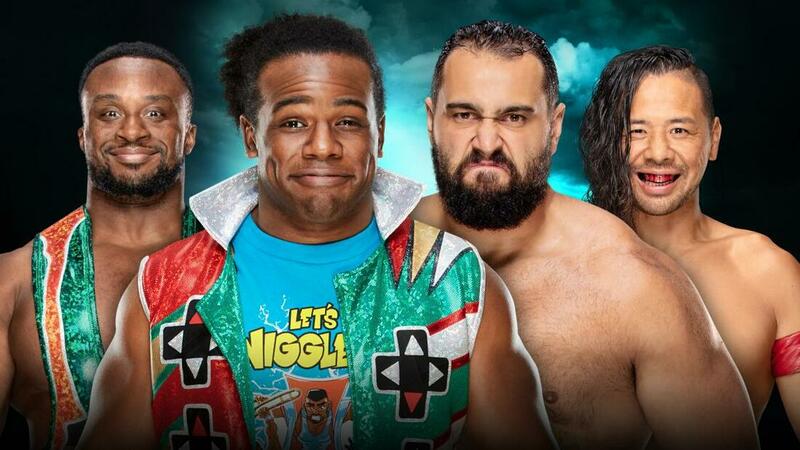 Kofi Kingston is in a singles championship match at WrestleMania! This is just all around good. 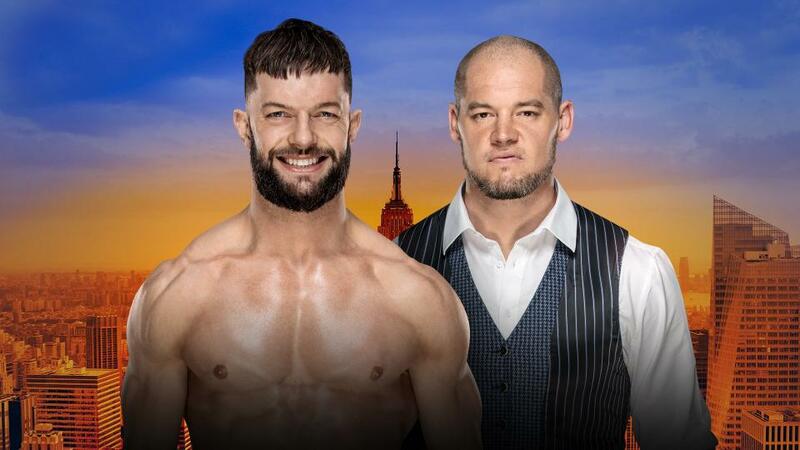 I would not be surprised if this match takes cues from Gargano/Cole from NXT TakeOver: New York. 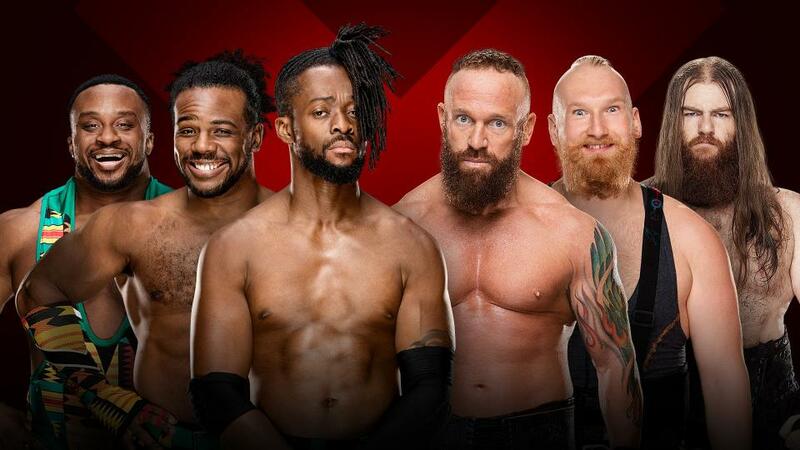 Have Rowan and a new member of Bryan's cult come out, and have Big E and Xavier Woods stop them. Have Kofi Kingston become a kickout machine. Have a lot of close calls. History favors Kofi Kingston. This should be a fascinating watch. Becky Lynch seems like the obvious pick but I wouldn't be surprised to see Ronda Rousey win both championships either. I wouldn't even put it past WWE to pull a "Roman Reigns" with Charlotte Flair. The match has a lot of hype to live up too. I'm going with Becky Lynch just do to the story. Even though the winner takes all really takes away from her story of beating Ronda Rousey. She no longer needs to beat Charlotte Flair yet for some reason WWE keeps throwing her in. 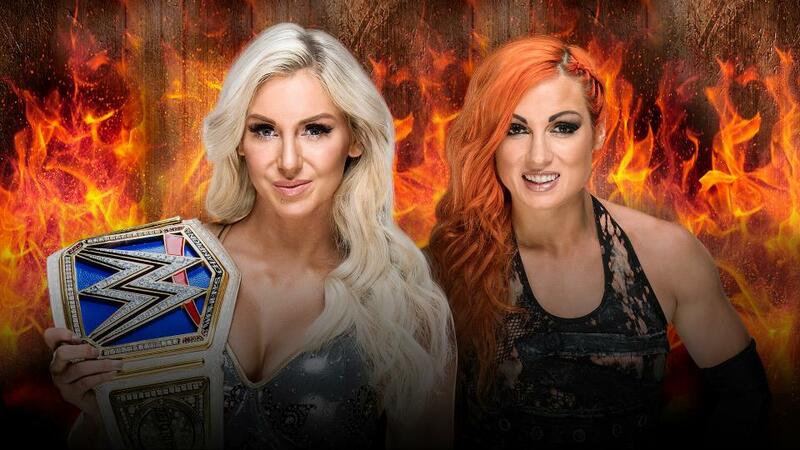 If my prediction comes true and Becky Lynch does win. WWE better not pull the sappy, have all the women out on the stage celebrating ending. If you want it to come across as a real main event just like the guys of the past. You have Becky Lynch celebrate this victory solo or with family members. No, Four Horsewoman last call. No, Evolution ending. Just "The Man" with the championships. We just don't need the sappy ending and the garbage narrative that all the women on the roster have made it possible. When in reality if Ronda Rousey isn't in WWE this main event doesn't happen. At the end of the day. I'm hoping the match delivers. Nothing can be as bad as the last three Mania's with Reigns main eventing and the crowd being completely dead. So, that's at least something. The New Day are still on the kickoff show! Surprised? This right here shows you how messed up WWE's landscape has become. The New Day were once hailed on the same level as The Rock and Hulk Hogan when they were given the duty to host WrestleMania. Now they are just scrapping it out on the kickoff shows. I see a lot of fans argue about The New Day. They are convinced turning them heel or having Xavier and Big E turn on Kofi would be the answer. The short answer: It won't work. (I'll have a larger article on this at a later date stay tuned). Rusev to me has always been a mid-carder. It's time to be brutally honest with the current roster. WWE has more talent than ever, and they need to prioritize certain talents unless they want people departing to AEW. Shinsuke Nakamura being lumped with Rusev is a joke. Nakamura should've been sent to RAW if SmackDown was becoming to crowded in the main event scene. The shakeup would've avoided Nakamura's current situation. With all that being said. It's a kickoff match, and these are usually unpredictable. This is another kickoff match. I do appreciate the SmackDown feel. That's the one down side of the co-branded events is that RAW gets too much booking power despite the brand having way less talent. This is a quality match for the kickoff. Even though it shouldn't be a kickoff. I guess this is the only way. I feel like these two will be involved in a WrestleMania ladder match. For now, I think Andrade will pick up the win. UPDATE: Match was changed to a Fatal 4 Way. I think Samoa Joe is going to hold onto it. This is a solid match, and it had a decent build. Not a good one but a decent one. The NXT call ups felt very unnecessary but they added a surprised element to WrestleMania season. I'm wondering who will debut the night after WrestleMania. The options are obviously limited. Unfortunately, Ciampa already got injured when debuting on the main roster. Black and Ricochet have fared well on the wild main roster. Gargano is pulling double duty. This match has all the talent. 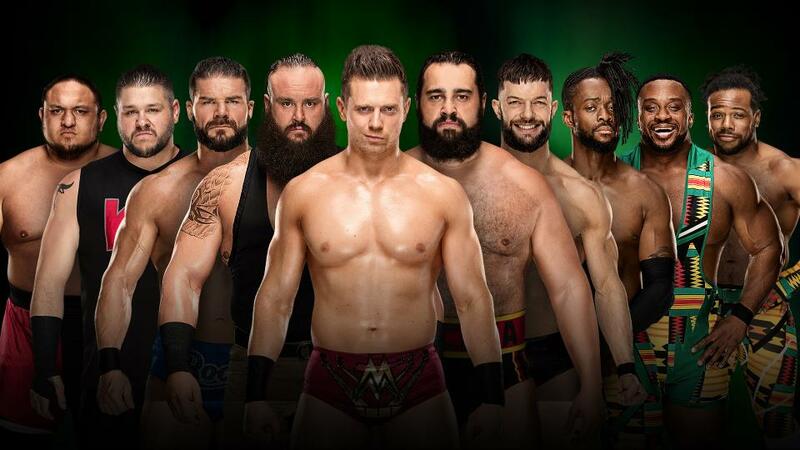 Consisting six great guys from NXT. The match features two former NXT champions, former NXT tag team champions, and of course a former NXT North American champion. I could see WWE going radical and giving the titles to Black and Ricochet. I'd just like to assume that Asuka would retain here. I wouldn't be surprised if they do a multi-women match for the SmackDown Women's Championship at WrestleMania. Quick pick: Banks and Bayley really can't lose on their first defense right? Right? 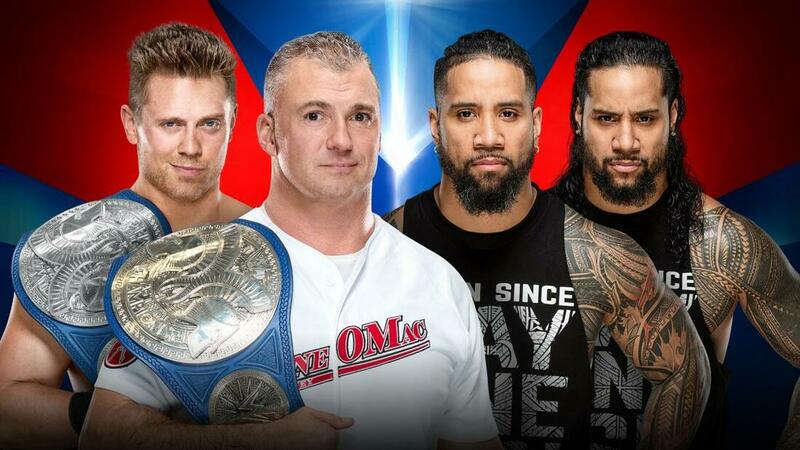 It's obvious The Uso's are going to win this one. Plus this match may kickstart whatever The Miz and Shane McMahon are doing at WrestleMania this year. The Usos's are most likely going to have a battle with The Hardy Boyz at Mania. Which will be incredible if they execute it right. Roman Reigns first match back is with The Shield. 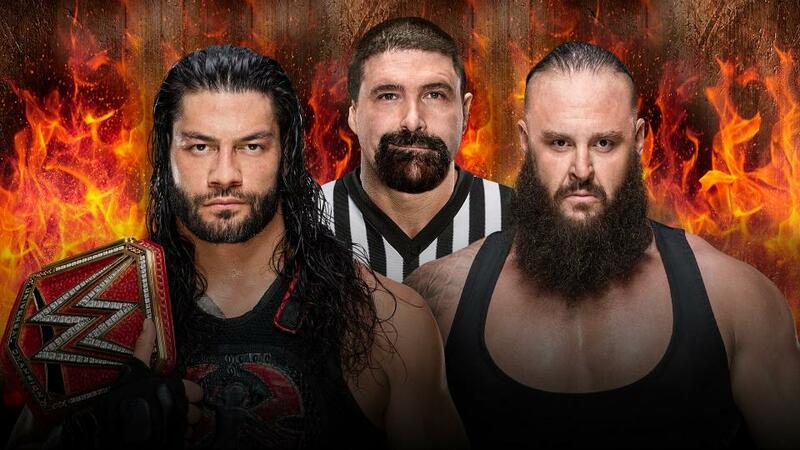 The match should be exciting due to Roman being back. It's a shame that they are facing Team Snoozefest. Honestly, The Shield should come out and squash these three guys. Yet, I'm sure this will be a long drawn out match with The Shield coming out on top. 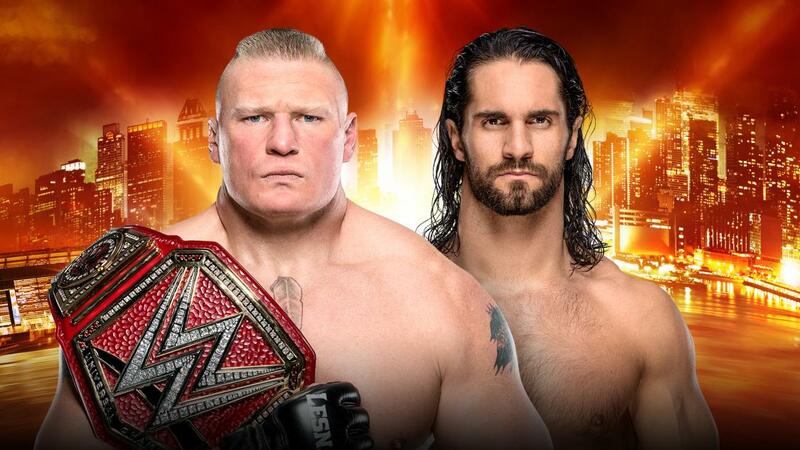 Also, maybe we get an appearance by Brock Lesnar so we can get some build for Rollins vs Lesnar. Instead of the same regurgitated Paul Heyman promo. That would be nice. I feel like WWE is forgetting to even promote that match, and that's a shame. 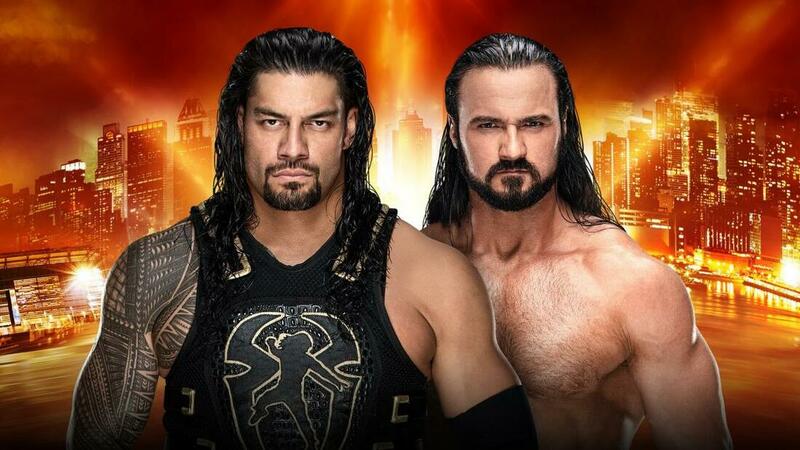 As for Reigns, I'm sure that he will have a small match at WrestleMania 35. Maybe him taking on Baron Corbin. The only other wild scenario I could see is that they do Reigns vs Cena again. A match that essentially doesn't need any build but is proven to have wild crowd engagement. Shoehorning Charlotte Flair into the Becky/Ronda feud was the worst thing for it. Also, this match just proves the Women's Royal Rumble means nothing. Who cares that Becky won the Rumble if she can't automatically get her title shot. 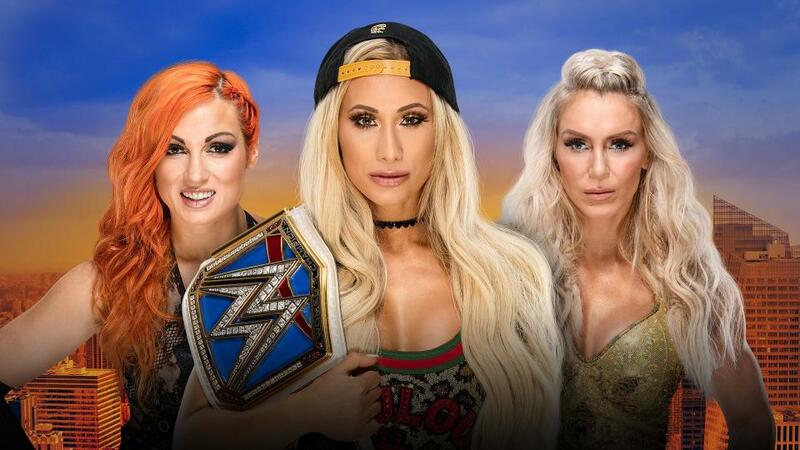 WWE overcomplicated the feud by adding Charlotte in. She could've had an easy rivalry with Asuka over on the SmackDown side. Not to mention Ronda Rousey turned heel, and by doing so she broke kayfabe. Which is one of the most interesting moves I've seen in recent years. I think it's perfect because Ronda Rousey is working the audience now. She has them hook, line, and sinker. Fans are calling her a coward and just another UFC star. It's the perfect scenario in a feud that is getting way too complicated. 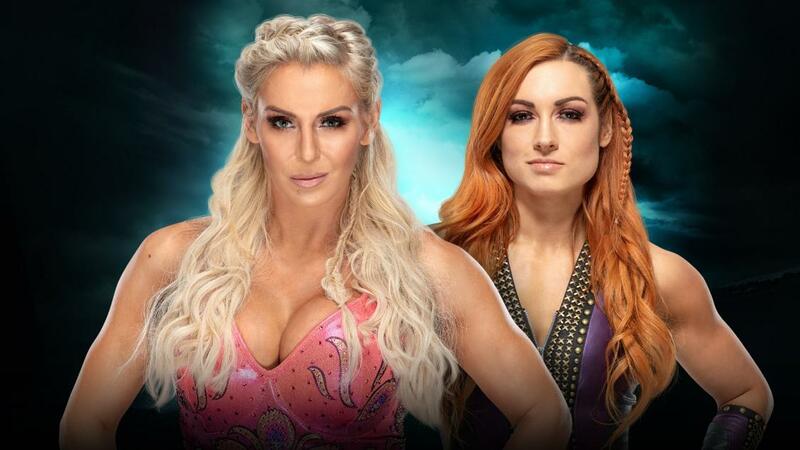 With that being said, Becky will probably win. Although, I think they should've raised the stakes of this match. If Charlotte Flair loses she should be out of the match. But that's just me. 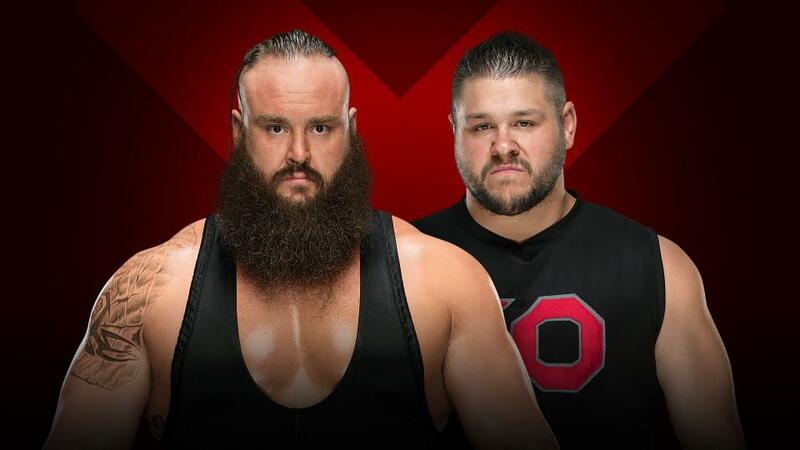 Babyface Kevin Owens works. I'm glad he is a babyface even if it is just for a little bit. This match should be epic. I think it is safe to say that Daniel Bryan retains. Maybe, a new member of the eco-cult is revealed? Then that leads to a face-off between Bryan's stable and The New Day. That would be the way to end Fastlane. What a week for wrestling. Jimmy Uso squared up with a cop. He got arrested but now he's out and he has to perform on Sunday. Corey Graves got accused of cheating by his wife with Carmella! The WWE sleeping around carousel continues. Graves wife revealed some disturbing texts. It will be interesting to see if Corey Graves is reprimanded for his actions. He would be the fall guy. On top of all this Tony Khan watches WWE like a hawk waiting for the perfect time to strike. Khan will continue to look for talent for AEW. The more controversy surrounding WWE the better. Khan's ultimate goal is for the talent to become restless in WWE and some become ballsy enough to jump ship. I also love that the dirtsheets are constantly reporting "AEW is looking to sign *blank*" because it will be funny when one of those reports finally come to fruition. 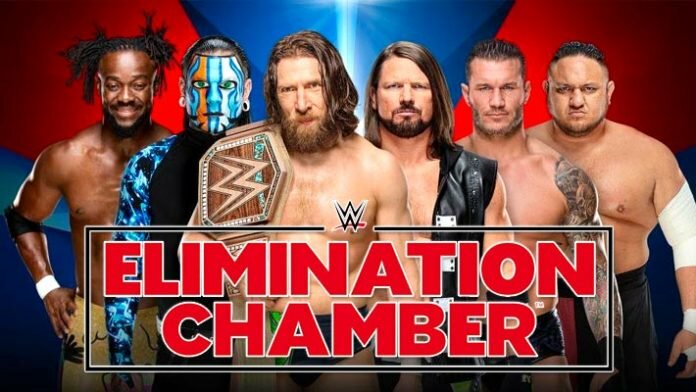 Elimination Chamber is going to be fascinating considering the backstage politics and how this event heavily ties into the shaping of the WrestleMania card. Buddy wins this match. It will be a quick one due to it being a kickoff match. What a yawn fest. Braun Strowman has had one of the worst declines in recent memory. Also is Baron Corbin one of those talents that constantly brings down a feud? This use to be Bray Wyatt's role (at least in recent years). This will be a sloppy No DQ match that will probably continue this lackluster and utterly ridiculous feud. Hopefully, Finn Balor can pull a CM Punk. Remember when Punk defeated The Shield all by himself? I can see the same happening to Finn on Sunday with him defeating Bobby Lashley and Lio Rush for the Intercontinental championship. Handicap matches for titles are always goofy. 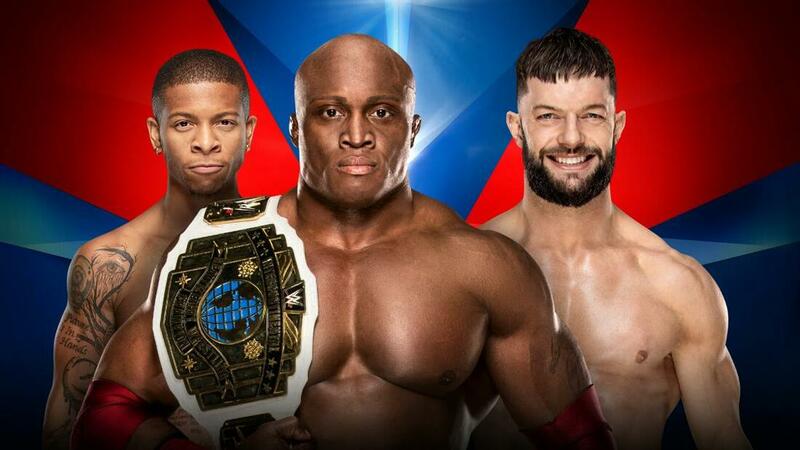 So I expect Finn to get the win. I'm very excited to see Lio Rush wrestle at his first big WWE event. Lio Rush didn't get to have a real run in NXT before getting called up to 205 Live, and then becoming Bobby Lashley's mouthpiece. Also remember Lio Rush is only 24! So his future is bright. Sorry, I couldn't help myself. On a serious note. The Miz and Shane McMahon are lost in the shuffle. I can't believe WWE is really going to do The Miz vs Shane McMahon? Babyface Miz vs Heel Daniel Bryan would feel weird. That match should of always been face Daniel Bryan vs the ultimate heel Miz. Daniel Bryan's new eco-friendly villain persona is going to probably lead him into a new feud for WrestleMania. Leaving The Miz fighting with Shane McMahon over... pride? All Shane McMahon feuds are just kinda thrown together. The duo has to drop the titles now right? 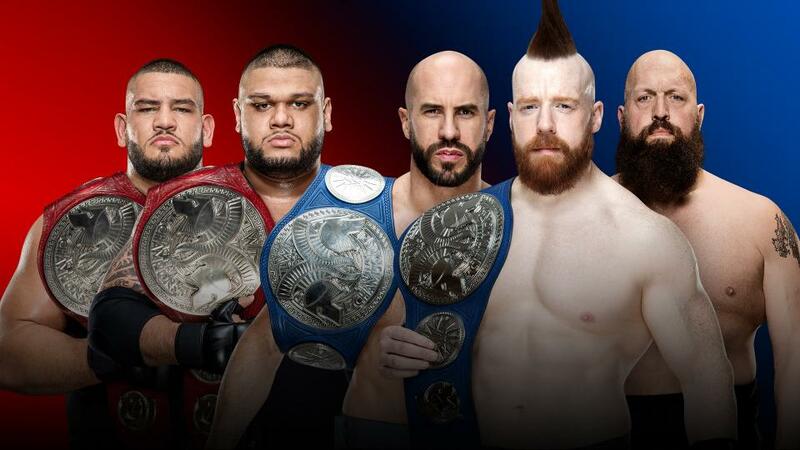 The Uso's becoming champs again is fine but WWE is really lacking creative direction all around. Ronda Rousey is going to have a dominating performance. Ruby Riott is getting a big time match. 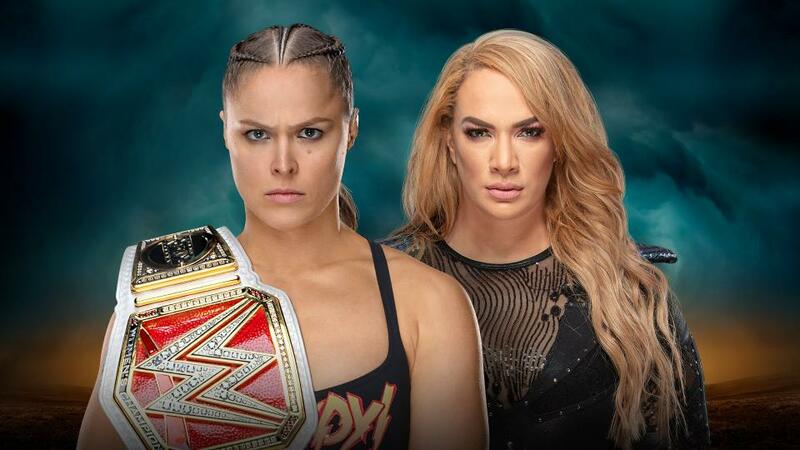 I feel bad that Rousey isn't going to get a true main event showdown with Becky Lynch. WWE decided to inject Charlotte Flair for no logical reason. I'm sure there are other wrestling writers/journalists praising the move but it really wasn't necessary at all. The first ever Women's main event should be one on one. Not every revolutionary women's match should be about trying to stuff as many people into one match. Rousey vs Lynch was it. WWE decided to screw with it. 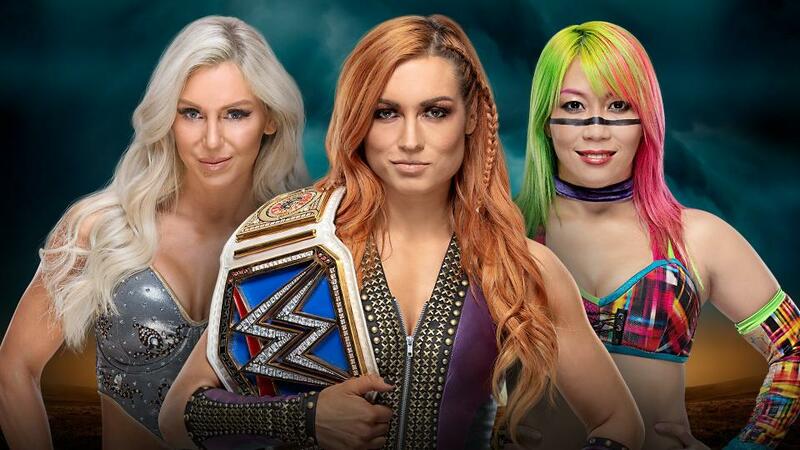 In my honest opinion, Lesnar vs Rollins should be the main event but WWE is so set on capitalizing on their women's division that they are missing the big picture. Brock Lesnar is still WWE's box office attraction, and his last two matches have been solid. Him main eventing this year would be different. 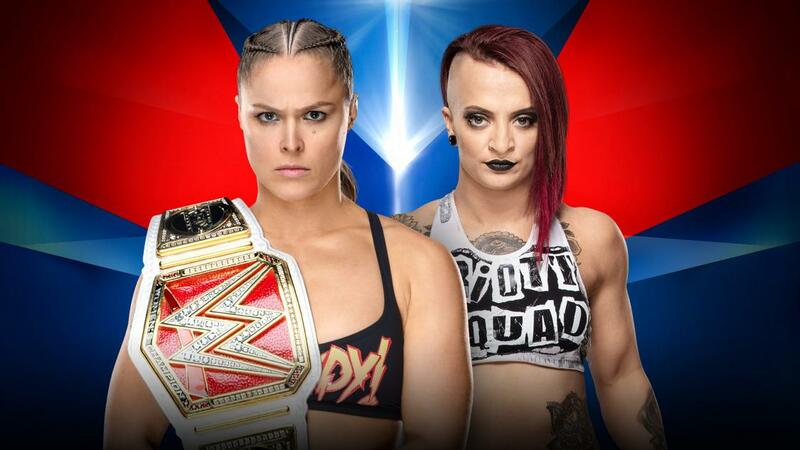 Rousey will face off against Riott. This will be a unique matchup to showcase both of their skills. I'm sure The Riott Squad won't be too much involved due to having a match later in the show. Rousey should win easy unless they decide to do run-ins. Let's break the teams down one by one. Nia Jax & Tamina: Ugh, Nia Jax and Tamina is such a boring pairing. They just don't do anything for me. Maybe it is because Nia Jax really doesn't care about being a dangerous worker? Not to mention I'm bitter WWE keeps screwing Mickie James but they keep pushing mediocre talent up the card. The Riott Squad: They are growing on me. Sarah Logan and Liv Morgan have a lot of potential. It will be fun to see a Liv Morgan singles run in comparison to her NXT run. Not to mention the possibility of Sarah Logan being a part of War Raiders. Carmella & Naomi: One drove the wrong way down a one-way street and the other had an affair with Corey Graves. Not a great week for this odd couple pairing? I didn't think they had a realistic chance. They definitely don't now. Boss N' Hug Connection: Frontrunners to win the entire thing. Sasha Banks and Bayley went from being on a collision course to becoming a tag team. They may win this just so they feel like a prominent part of the division. In recent months they haven't gotten the respect they have deserved. Mady Rose & Sonya Deville: I like this team. I don't think they are going to win but they are really good together. Both have bright futures. The IIconics: My favorite tag team of the bunch. They are a true tandem. They have been underrated since NXT. If WWE was smart they would let them win the big one. The one thing that gets lost within their gimmick is that Peyton Royce and Billie Kay are really good at wrestling. Hopefully this division allows them to showcase their skills to the fullest. I could see Nia Jax and Tamina winning. WWE loves Nia and having Tamina finally win something would be a good pat on the back for WWE. The IIconics and the team of Mandy Rose & Sonya Deville could pull upsets. As WWE seems to like giving surprises every once in awhile. Riott Squad seems too random but there is a reason they are in the match. Carmella and Naomi lost their shot unless WWE truly makes a radical decision. I could even see them being written out of the match and a new Women's team replaces them. Perfect opportunity for Alexa Bliss and Lacey Evans? Boss N' Hug Connection seem like the safest bet to start the new era of women's tag team wrestling. This is a stacked match. It is unfortunate for Mustafa Ali but he will make it back. This also ignited momentum for Kofi Kingston. Who deserves to be a player within the main event scene. We also see a great opportunity for Jeff Hardy. AJ Styles, Randy Orton, and Samoa Joe remain in the chase for the title. This is a very likable Elimination Chamber match which makes the match better overall. 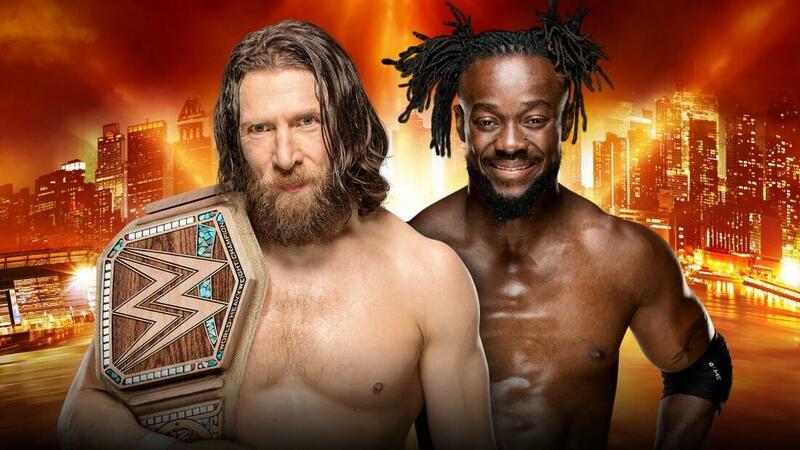 Personally, I would love to see Daniel Bryan vs Kofi Kingston in the final two. Only to have Daniel Bryan and Rowan screw Kofi Kingston out of the championship. Maybe another person will join the eco-friendly hippie cult? The New Day vs Heel Daniel Bryan is a feud I never knew I needed. Kofi Kingston vs Daniel Bryan would be an ultimate story at WrestleMania. The original underdog in Daniel Bryan, taking on the man who has been working hard forever but hasn't gotten his main event shot. The obvious result to win is Daniel Bryan. It's still awe-inspiring that he was able to return to wrestling. I can't imagine him dropping the title here. 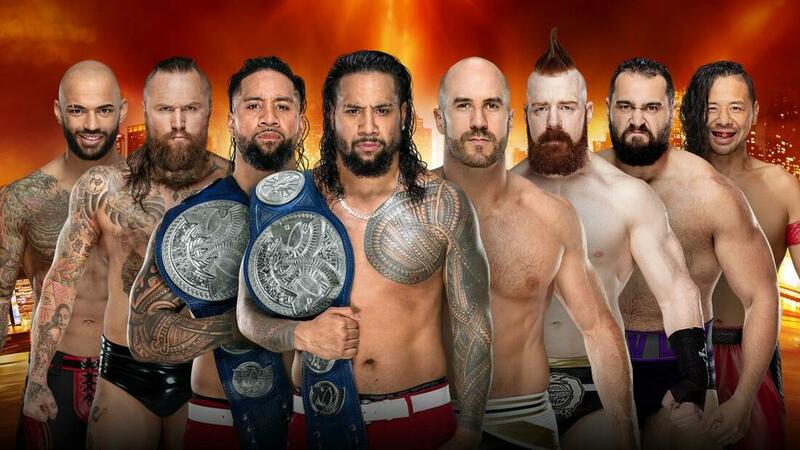 Unless WWE is planning on doing a multi-man title match at WrestleMania. 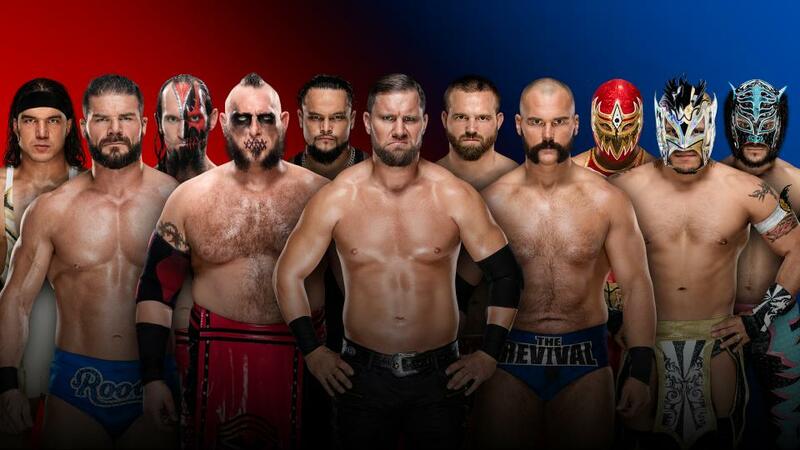 Triple Z gives his predictions and analysis for the 2019 Royal Rumble. Rusev and Shinsuke Nakamura are names you don't typically see in the Kickoff lineup. Usually that honor is for The New Day or The Uso's. Can we just talk about main roster shelf life for a second. 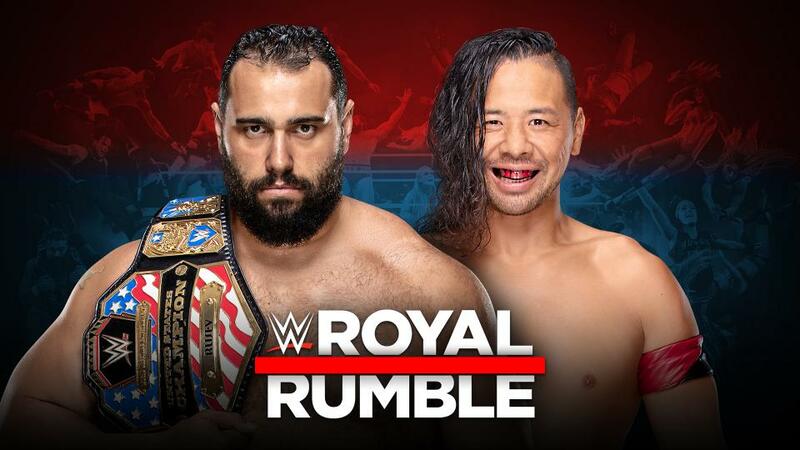 Nakamura won the Royal Rumble last year in dramatic fashion, and now he is fighting for one of WWE's worst titles in the kickoff match against a champion who hasn't had a good run either. Nakamura is going to lose. It is the scenario that makes the most sense. WWE's roster is ultra-stacked, and it is sad we have gotten to a point where someone like Shinsuke Nakamura has become old news. Truly shows WWE's booking has its challenges. It is unclear when this match will take place within the card. It has the potential to be an epic contest. WWE is slowly fixing 2o5 Live. Yet, as fans, it is becoming increasingly noticeable no one knows where 205 Live fits within the WWE main roster or universe. Recently, we have seen Mustafa Ali move to SmackDown. So is 205 Live now just another step before RAW or SmackDown? For example, Hideo Itami was stuck in NXT forever. Due to his injuries and the influx of new talent the NXT universe no longer cared about Hideo Itami. Then WWE moved him to 205 Live. He's now in the title picture. Although someone with the rèsumè like Itami should've been a main roster bet. If 205 Live is being used as a new way to groom Cruiserweights for full time main roster that could be something. Even though we can argue a lot of the Cruiserweight's have been ready. Now back to this match. 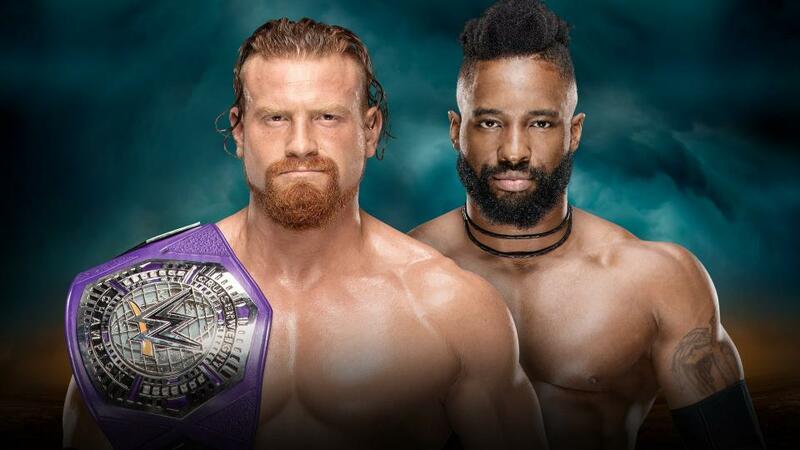 I would have to assume Buddy Murphy retains his title. Cruiserweight title hot potato doesn't always work. 205 Live saved Buddy Murphy's career so that is a testament to the brand. Is this really Shane's way to WrestleMania? Is The Miz a dark horse for a Royal Rumble win? It would give us a babyface The Miz taking on the heel Daniel Bryan. They aren't going to have Shane McMahon lose. It is a part of his aura now. He use to lose every time, and now he is winning a bunch. The Miz and Shane McMahon will win the tag team titles, and it will go into the record books as a legendary oddball pairing. The Miz entering and winning the Royal Rumble is unlikely now . Although we all thought it was a possibility, months ago before the Daniel Bryan heel turn. Now it seems WWE is set on Rollins. Still it's hard to rule out The Miz. SmackDown may have an easier path to WrestleMania for The Miz. Is Becky Lynch getting too cocky? That's the biggest question heading into the Royal Rumble. Becky Lynch has been playing up the anti-hero role. Some are heralding her to Stone Cold. I think "The Man" is fine but Ronda Rousey is the more compelling Stone Cold. Becky may be the perfect foil as The Rock like character. Which makes Charlotte Flair the Triple H character if we are going by Attitude Era comparisons. A lot is at stake in this match. I think WWE is giving Asuka the run she deserves. Becky Lynch can wait for the Women's Royal Rumble. Banks and Bayley can book their tickets for the Women's Tag Team Championship match at Elimination Chamber. 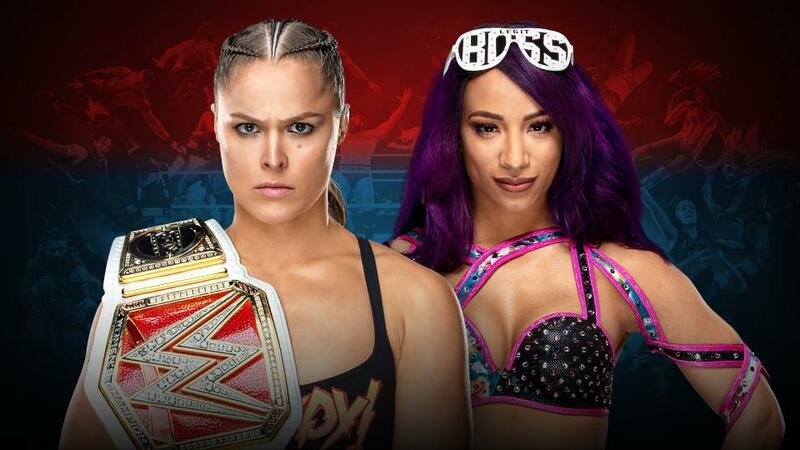 Currently, Sasha Banks has to face Ronda Rousey. I'm expecting this to be a solid, long contest. The match should make Sasha and Ronda look equal. Rousey should get the victory though. A Sasha Banks curveball would be fascinating though. This match should further escalate the Four Horsewomen of MMA vs the Four Horsewomen of WWE rivalry. Which will be a big money match down the line. Especially now that sources have confirmed that Ronda Rousey is indeed under contract until 2021 with WWE. Daniel Bryan has embraced his inner heel. We are bound for a fun match. Although the result is most likely going to be Daniel Bryan retaining. A smart move on WWE's behalf. Instead of having Daniel Bryan enter the Royal Rumble and lose. It's still surreal that Daniel Bryan is even wrestling. It's crazy he's fighting AJ Styles. The fans once again win. Brock Lesnar has finally made his point clear. He no longer wants to work matches with big superstars. So that means no more matches with Roman Reigns. No more snore fests with Braun Strowman. It shows that Lesnar works better with smaller opponents. He was able to work well with AJ Styles and Daniel Bryan. Now Finn Balor is the next man up. 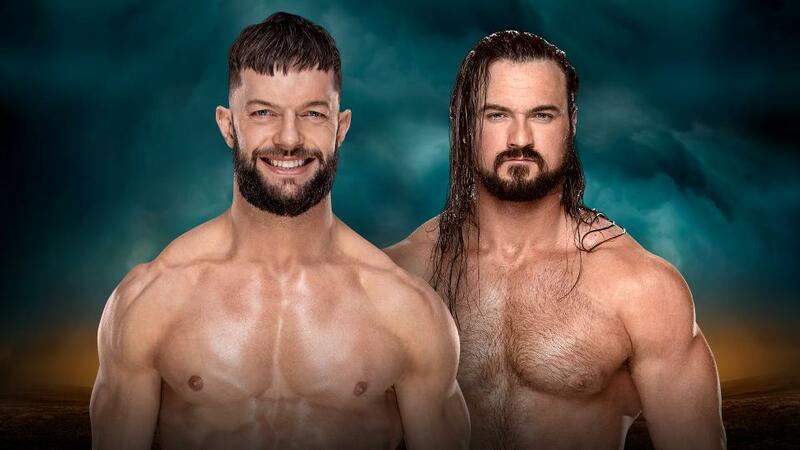 I don't see a scenario where Finn actually wins but I expect this to be a fun match. I also think Finn Balor's Demon alter-ego will be saved for a WrestleMania match. Lesnar will most likely win. Setting up a championship match at WrestleMania. Of course she is the favorite. Charlotte has won almost every big "Women's Evolution" match. Adding Royal Rumble to her list is probably a goal for WWE. She's the most over women in the division. Fans have been clamoring for Lynch/Rousey since Survivor Series. The Royal Rumble could be the route. WWE wants to pull a Bret Hart and Lex Luger type deal. "Keep Charlotte strong!" This would be a goofy ending especially for the Women's second ever Royal Rumble match. After being cleared for competition. Alexa Bliss will compete in the Royal Rumble in her first official match back. The oddsmakers have her near the favorites. There is good reason for Bliss being near the top. She's held both the RAW and SmackDown Women's Championships and she has also won Money in the Bank. Bliss may just win the Royal Rumble. Who would she challenge? Probably Asuka if it came down to it. The NXT standout is bound to get a break soon. Ember Moon winning the Royal Rumble could also free up the Becky Lynch/Ronda Rousey storyline. If Ember Moon does win she could end up challenging her NXT nemesis Asuka. Baszler is ranked high. I don't think she is leaving NXT yet. If she enters it could be a surprised one-off. She may be a dark horse if she drops her NXT Women's championship at NXT TakeOver: Phoenix. One of the most fascinating sub-storylines of 2018 was how Nikki Bella has positioned herself as the more dominant Bella Twin. Nikki Bella got the spotlight fighting Ronda Rousey at Evolution. She is a dark horse to win the Royal Rumble. Last year she was the runner up to Asuka. We know Nikki Bella wants a title run. It's not a matter of if, it's more like when. She's a Hall of Famer, and she still has it. There is a possibility she could be a surprise entrant. Winning on the other hand is less likely. Another NXT standout who will probably be in the match but her chances of actually winning will be slim to none. Still possible that Kairi Sane wins but it would be from out of left field. Well it would be fun? She doesn't have leverage like her sister does. My ultimate choice for the Women's Royal Rumble match based on the notion WWE will continue the storylines they have already built is Becky Lynch (The Favorite). It makes sense Rollins is the favorite. He is rumored to be facing Brock Lesnar at WrestleMania. Which would go in line with the new way Lesnar wants to work. Rollins has done a lot in WWE, and I'm sure they are waiting to cross Royal Rumble off his list. Talk about a fall from grace. Braun Strowman was one of WWE's hottest acts. They made him a heel, and then they made him a face again. Braun had the momentum and WWE decided to waste it. I don't see Strowman winning the Royal Rumble despite him being a favorite. He just doesn't do it for me. McIntyre had a weak NXT run. I don't think he has the in-ring skills compared to some of the other main roster talents. He's another "favorite" I can't see winning the Royal Rumble. You may be thinking to yourself. "Why would Kenny Omega be a dark horse?" Well the thing is we don't know his situation. It is very likely he signs a deal with AEW. Although Kenny Omega being a dark horse to win the Royal Rumble is still very possible according to oddsmakers. Maybe it is a AJ Styles situation. Where we all thought he was going to sign with TNA again, and then he made the jump to WWE. Omega is in a different situation than Styles. AJ Styles' decision was basically should I go on the biggest boat or should I jump on this float that is barely above water? Now Omega's decision is should I join this well-oiled machine or should I jump onto this rocket ship and see where it takes me. The rocket ship being AEW of course. Kenny Omega would be a fun dark horse. Could the road to a historic 17th championship win happen through the Royal Rumble? Brock Lesnar or Daniel Bryan are worthy opponents for John Cena. This would be an excellent winner. Just have him face whoever wins the WWE Championship for SmackDown at WrestleMania. He's a dark horse but it could make for a nice swerve. The underdog who is now a member of SmackDown. Mustafa Ali winning the Royal Rumble could elevate him into WWE's next underdog story. His in-ring style is unique, and he has the potential to be a top star. If The Rock ever returns to WWE. You know he will be getting a major push out of the gate. If The Rock is planning on returning to action in 2019. The Rock winning the Royal Rumble would be the perfect start. Also, it would help him with his ring rust. Have a bunch of other guys in there and he would be able to hit his key spots. The Rock's schedule is always busy but a match between him and Brock Lesnar could reach some serious mainstream appeal. The NXT call up winning the big one. Dream has it all to be the next main event superstar. It's a longshot but I wouldn't rule it out. Shawn Michaels came out of retirement for WWE's controversial Crown Jewel event in Saudi Arabia. It was rumored he would continue to work with WWE in a part-time capacity. HBK has shot down all the rumors. Saying that the Saudi Arabia match was a special one-off. Hmmm.... still very fishy? Is this the last we have seen of bald Shawn Michaels? Final Pick: When it comes down to the nitty gritty of picking who's going to win the Royal Rumble I have to go with Seth Rollins. He's been in highlighted to win forever. I wouldn't be shocked if I end up being wrong. Especially if a dark horse or a long shot comes in to play. Thanks for reading my 2019 Royal Rumble predictions. Triple Z previews WWE's TLC event, including the high stakes match between Baron Corbin and Braun Strowman. Before I even get into previewing WWE's TLC event. I think it would be smart of me to point out, and for those of you that have read ZWrestleTalk for awhile will understand. WWE theming pay-per-view events after special matches really screws them over at other pay-per-views. Like this past Monday that was the first TLC match on RAW in years. It shouldn't be like that. There should TLC matches on RAW every once in awhile, there shouldn't be many year gaps. Both TLC and Hell in a Cell are cool concepts. They should be utilized more throughout the year. Instead of relegating them to their own minor events. So now it's time to preview WWE's TLC. Which features the RAW GM debacle at the center of it all. Something that hopefully will be put to rest. Cool, we get a chairs match. Mysterio and Orton could perform some cool spots. I'm still in shock that Rey Mysterio actually returned to WWE, and that he's sticking with it. 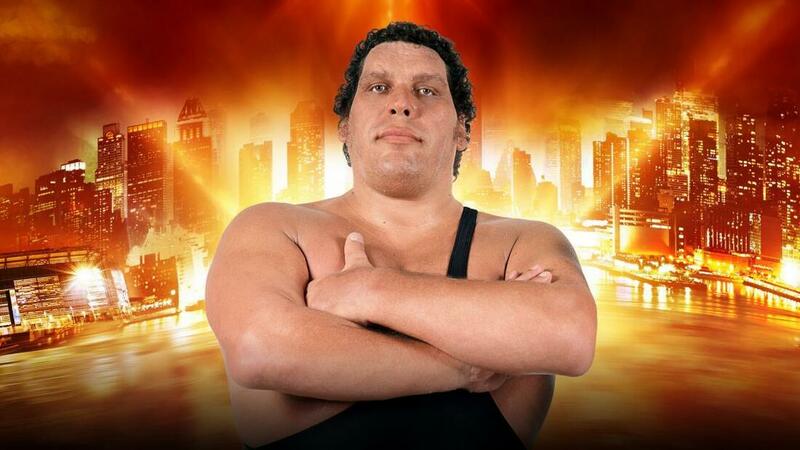 If WWE is smart they do a WrestleMania dream match with him this year. Honestly, I think Rey Mysterio vs AJ Styles could be the match. The in-ring psychology between the two of them would be insane. I think Randy Orton will end up doing some vicious spots with Rey Mysterion resulting a victory. 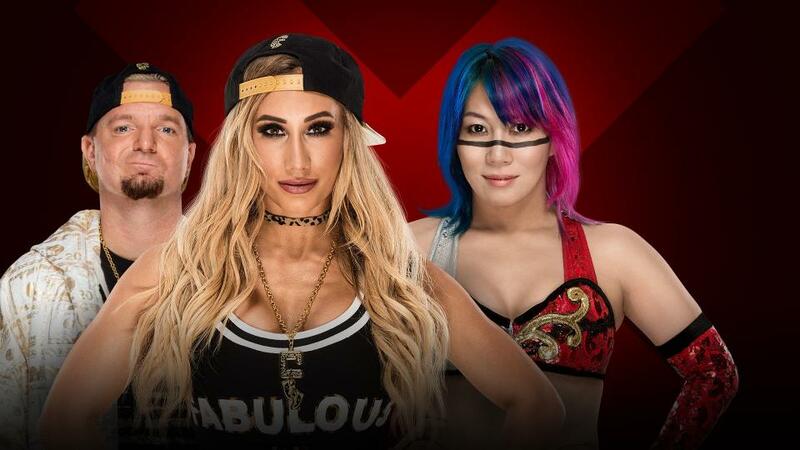 This is the finals to WWE's Mixed Match Challenge. Facebook Watch's current venture with WWE. I think obviously the comedic team of R-Truth and Carmella have to win. WWE is still trying to rebuild 205 Live. I have to assume WWE is going to want some consistency. So, Buddy Murphy retaining would make the most sense. 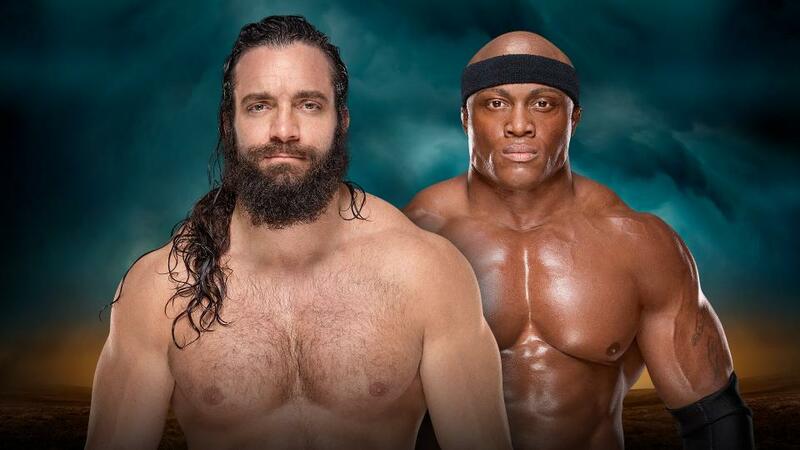 You have to think Elias is going to grab his guitar, and use it on Bobby Lashley? Maybe they go a different route but this match should be okay. Giving Bobby Lashley a mouthpiece helps. His stumble into the mid-card shouldn't go unnoticed. On the other-hand, Elias is on the verge of being in the main event. I would not be surprised to see Elias moved to SmackDown in 2019, and him being in the main event scene more. I heard this match might get scrapped. Which I'm fine with. I don't need to see Drew McIntyre beat Finn Balor. This just does nothing for me. This shockingly does something for me. This storyline has also used Natalya's real life dad Jim "The Anvil" Neidhart. Who recently just passed away. So it has a real life element which I like. I also enjoy the fact that it's edgy. Like it wasn't necessary for WWE to go that far but they did, and that makes this a better feud. It's no longer a generic women's rivalry. It's a personal rivalry. Also this is a unique spot to be in considering WWE doesn't usually make one on one women's matches outside of the championship matches. 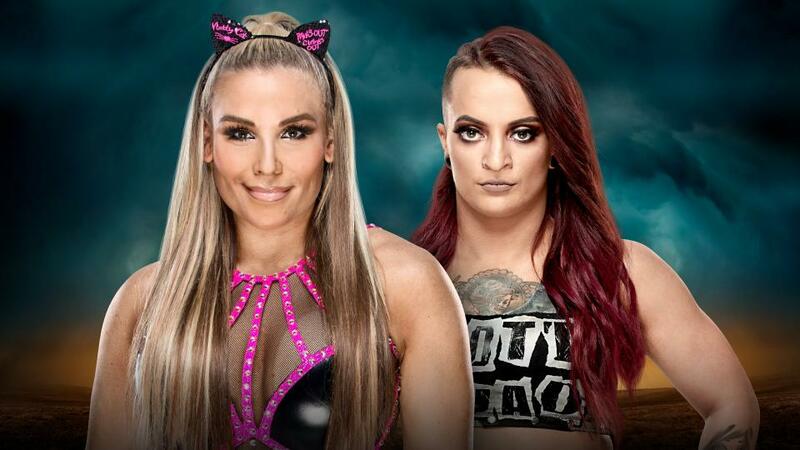 I have to think Ruby Riott is going to win in a emotional match. I feel like there is more left to this feud. This match is really special. These are the three tag teams that owned WWE in 2018. Also, this match just proves that SmackDown's tag team division is so much better right now. 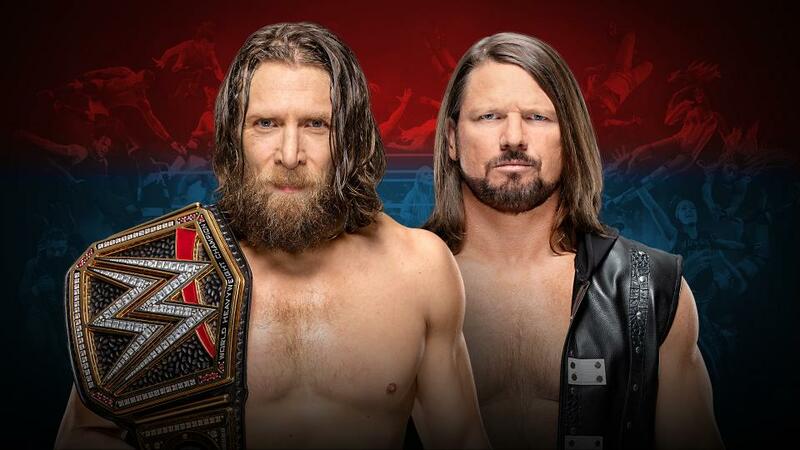 It will be a satisfying match, and I feel like WWE will keep the titles on The Bar for now. Once again Charlotte Flair gets to make history. Yet, Becky Lynch has become one of WWE's most organic acts in 2018. She's getting Daniel Bryan sized pops during his 2014 run. 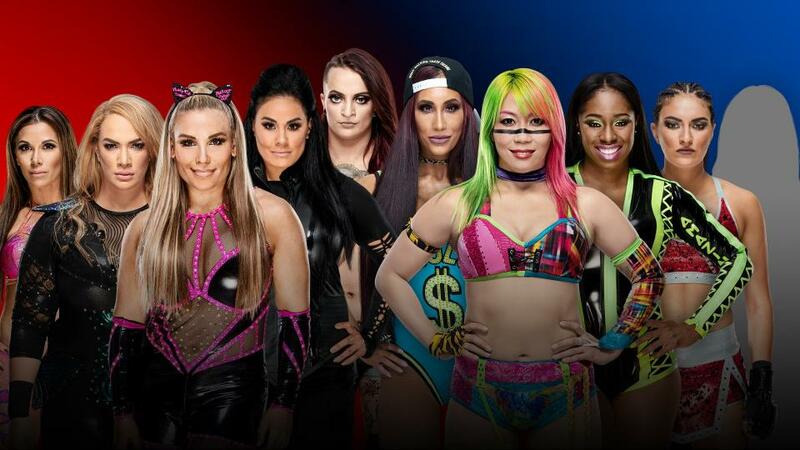 This is a dream match for the women's revolution. Becky Lynch should move to RAW in 2019, in hopes of fighting Ronda Rousey for her title. Charlotte Flair could win here just because WWE likes doing that. Then we have the potential of WWE putting Asuka on a correction course and having her win in a match that won't hurt Charlotte Flair or Becky Lynch status wise. WWE will have Asuka win just to solidify her as a true champion once again. Asuka was on top of the world at the beginning of 2018, and she could reach the top once again at the end. 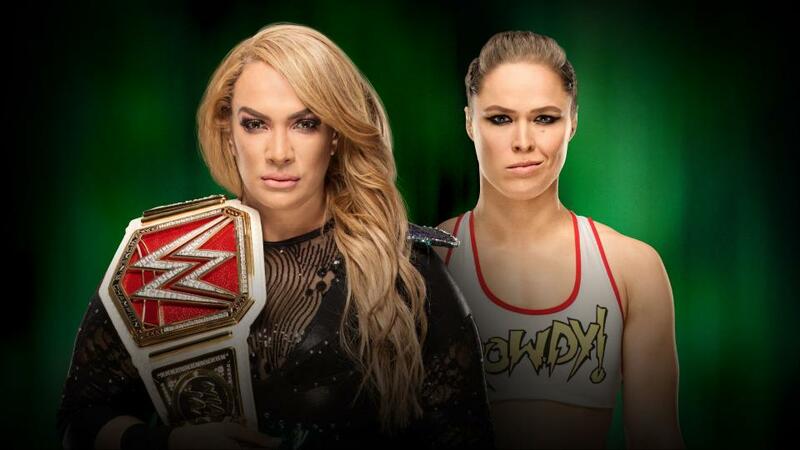 In all honesty Ronda should just knock her out, and that's how this match should end. It should be a squash. I can't imagine this going on for a long time either. My prediction is that Lars Sullivan is going to make his main roster debut tonight. He's going to take out Strowman. 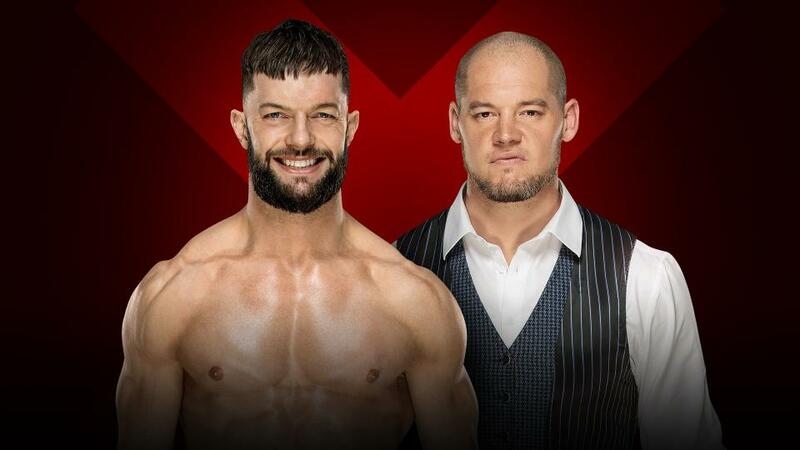 Corbin is going to win the match, and the title of General Manager of Monday Night RAW. Then Vince McMahon is going to fire him on Monday night. Seth Rollins is going to lose. So he can move on and have a feud with Brock Lesnar. Seth Rollins taking on Brock Lesnar is the next realistic feud unless you have Daniel Bryan start a cross-brand rivalry with Lesnar for WrestleMania. 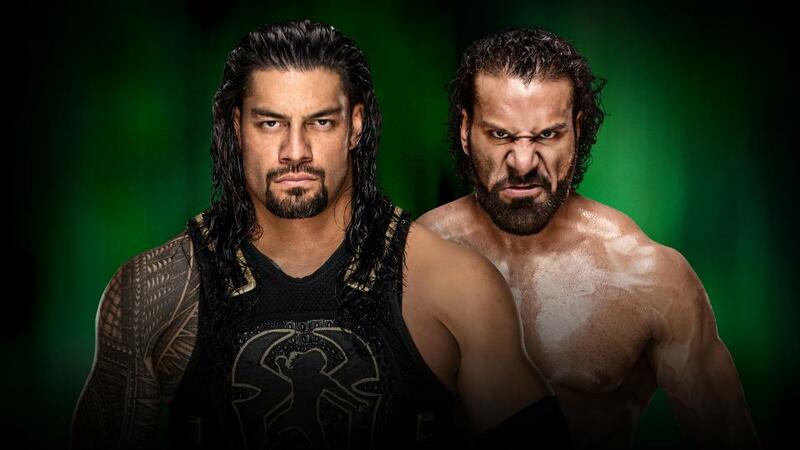 This Ambrose/Rollins feud doesn't have any other excitement except for the fact it's a role reversal with Rollins as the babyface, and Ambrose as the heel, and the added drama of Roman Reigns. Yet I just suspect a uneventful Ambrose victory. Daniel Bryan and AJ Styles should put on another classic. I don't see Daniel Bryan dropping the title anytime soon. Although I don't like the idea of seeing him face The Miz anymore. Unless he turns face again. I just don't think a babyface Miz would really be that good for this particular feud. This should realistically be the main event. It's still just a great thing to see Daniel Bryan back in the ring. To finish off the WWE TLC BreakDownz. I think it makes sense to point out that RAW indeed needs to change in 2019. Especially with SmackDown getting a deal on FOX. RAW needs to tell stories and interest its audience. 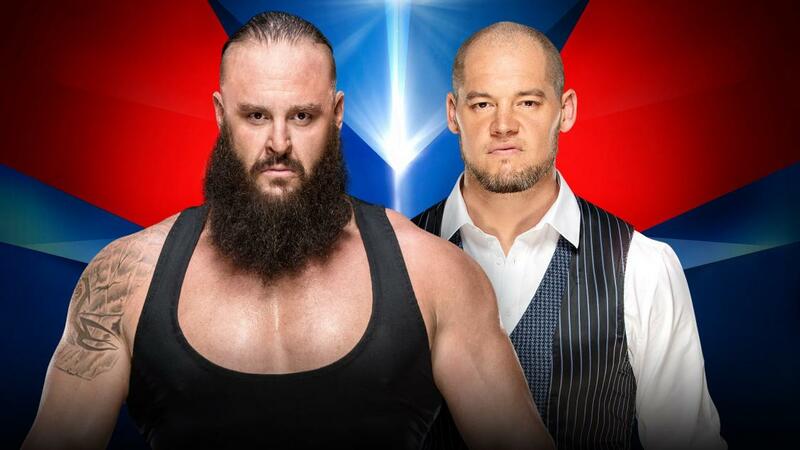 So hopefully in 2019 WWE veers away from getting stuck in ruts like they did with the Constable Corbin storyline. WWE probably thought that the Baron Corbin/Kurt Angle storyline looked good on paper, similar to the Jason Jordan/Kurt Angle storyline. Yet it isn't working and half of the time it seems RAW just repeats itself. WWE may still be stubborn with RAW in 2019 but with SmackDown being on FOX they better pull out all the stops. They won't be able to do whatever they want. Not to mention if All Elite Wrestling does become a thing, it could build up fast into a true threat. Why can't we have nice things. Of course Becky Lynch gets concussed the week before the most anticipated women's match in recent memory. Yet, maybe Nia Jax's clumsy maneuver lead WWE's storytelling to better things! Plus WWE rewrites a wrong from the WrestleMania 31 season. As Brock Lesnar will finally face Daniel Bryan. Even though Daniel Bryan is now a heel. 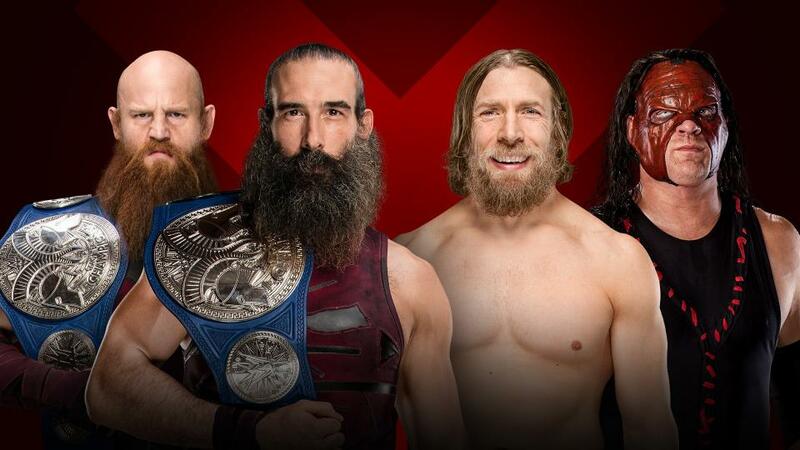 Yes, that's super weird to type and it's freaky to consider WWE has been turning all their top babyfaces heel (Shinsuke Nakamura, Becky Lynch, Johnny Gargano, and now Daniel Bryan). Now Survivor Series has a WrestleMania caliber card. Also WWE saves us from a boring Charlotte Flair-Ronda Rousey WrestleMania feud by having the match at Survivor Series. It could be debated the crowd wanted Asuka vs Rousey too. I do not care about this at all but I think it's time for some POINTS. Bobby Roode needs this heel turn. Keep his entrance music. Lucha House Party gives hope for 205 Live talent that someday they could make it back to RAW. I told you The New Day was going to be on the kickoff show. 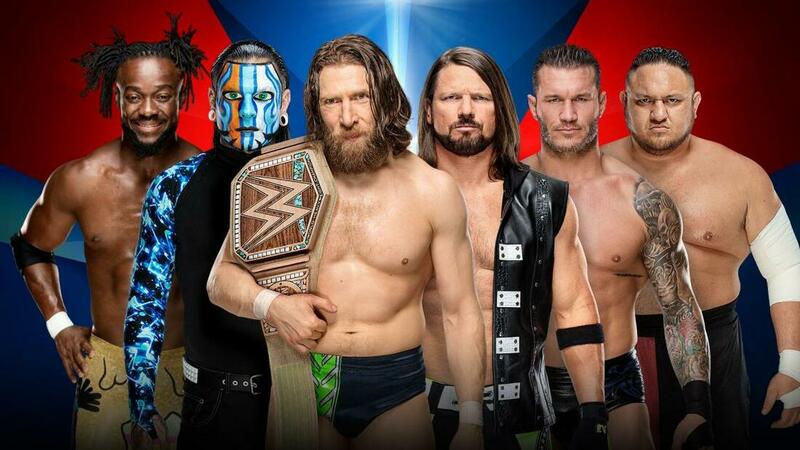 In all reality Team SmackDown should win based on having actual TAG TEAMS. I would assume AOP would win here. WWE needs to build them up. The main roster hasn't been too kind to them. Especially since the departure of their iconic manager Paul Ellering. Yet, Drake Maverick has stepped up to fill AOP's void. 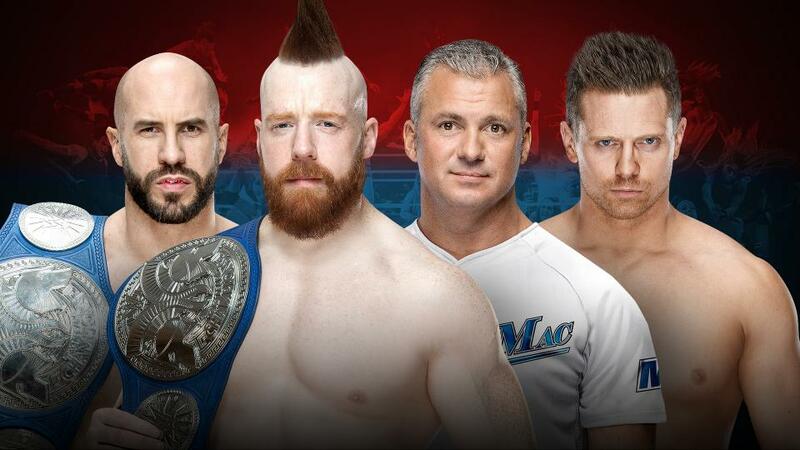 Sheamus, Cesaro, and Big Show form a nice trio but how long will that last? Not to mention WWE should give Cesaro a singles run soon. 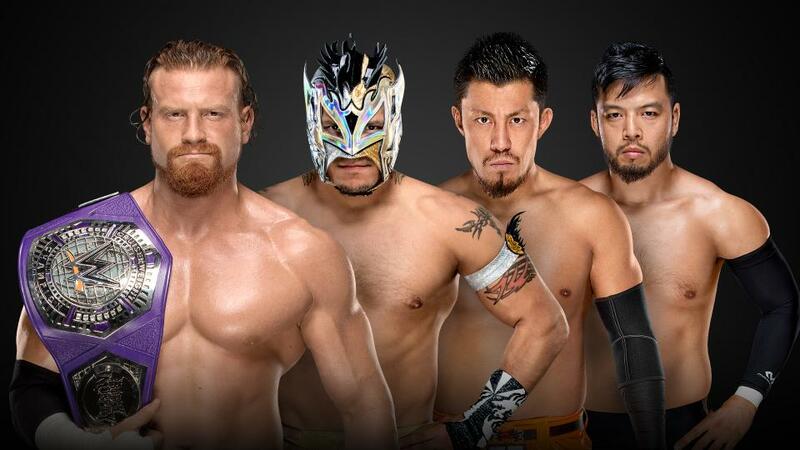 Wow, 205 Live made the main card??? Also that Cruiserweight Championship is a hot potato. 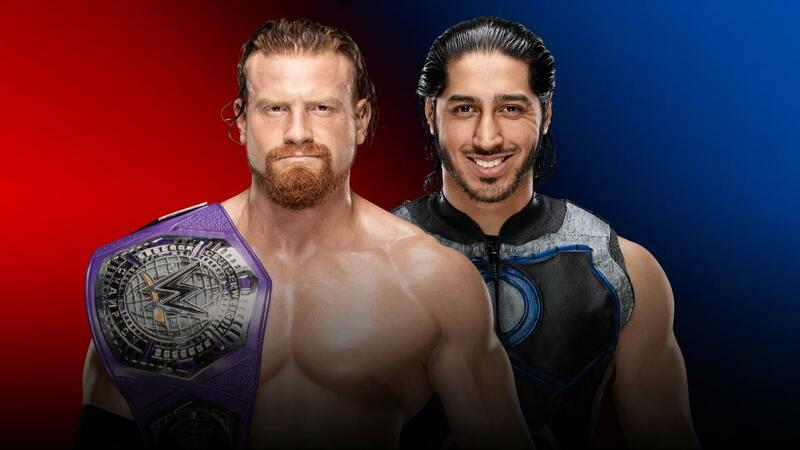 I fully expect Mustafa Ali to win on Sunday. I don't follow 205 Live that well. I just hope they have a good match. This should be a fun match. It includes three superstar who weren't around last year in this event Bobby Lashley, Jeff Hardy, and Rey Mysterio. Also it is one of the nights a year where Shane McMahon plays tough guy. RAW has the size but SmackDown has the experience by far. I have to think that WWE finally gives SmackDown an important victory. I think Rey Mysterio will eliminate Braun Strowman. I just have that gut feeling. I feel like because there is no stakes it favors the SmackDown guys better. Plus RAW's team is inferior. Glad they finally got Finn into a match with some meaning though. I would usually give this to SmackDown but I'm sure WWE wants to establish Nia Jax and Tamina as forces within the women's division. Jax's mistake on Monday helped us get an impressive match for WrestleMania 35. What I'm going to be watching in this match is a few things. How Asuka does overall, same goes for Ruby Riott and Mickie James, also how Carmella can bounce back after being champ, and if Sonya Deville or the mystery partner can become more SmackDown women's division mainstays. 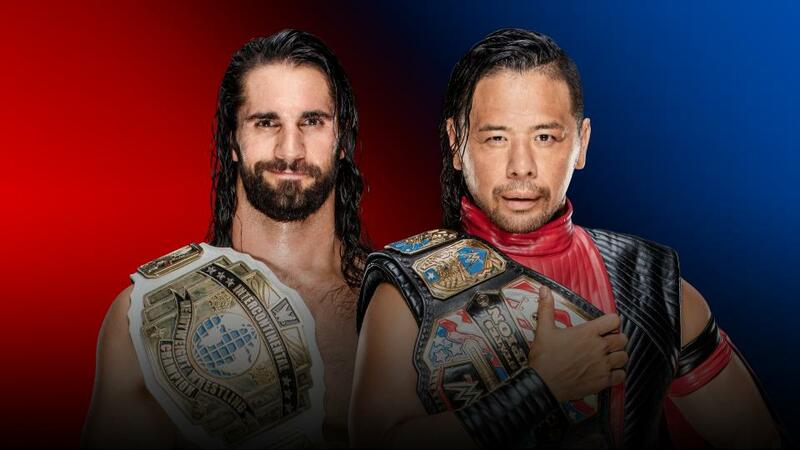 Rollins vs Nakamura has the potential to steal the night. As long as outsiders don't get involved. Yet, I'm betting on a Dean Ambrose run-in. Nakamura and Rollins better wear their best pop culture inspired ring gear this Sunday because it's going to be a match! I feel Nakamura will earn the big victory on Sunday but due to Ambrose. This match is near the top of my list. Well... we didn't get Becky Lynch and Ronda Rousey. 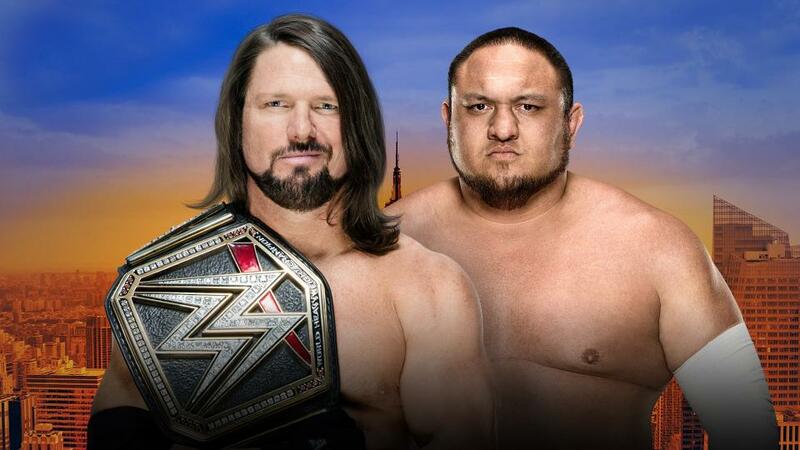 Thankfully, that match will be saved for WrestleMania 35. WWE hasn't had this hot of a character (Becky Lynch) since Daniel Bryan circa 2014. If you thought Rousey was over just take a look at Lynch and how she commanded our attention on Monday night. Undoubtedly, Lynch has the better promo game which helps but Lynch looks like a serious competitor next to Rousey. It's time for fans to forget the MMA mindset in all of WWE. Anyone of any size can face in WWE. I'm excited for Lynch/Rousey when that happens but the biggest move WWE made was giving us the rumored WrestleMania 35 main event at Survivor Series and saving us from a boring "legacy" feud. Charlotte Flair is the women's division answer to Roman Reigns. She wins. Look at what she brought out in Becky Lynch. There is no way WWE is going to have their most successful women's star of the women's revolution take the loss to someone who hasn't even had experience yet. WWE made Alexa Bliss and Charlotte Flair the staples of the new women's era having both of them winning multiple titles from different brands. Rousey has already defeated Bliss. Though that fits with Bliss' whiny character. Charlotte Flair is a whole new game for Rousey. Flair has the experience and edge over Rousey. Although it would be a terrible look to have one of your most dominant champions get laid out by a true-newcomer. Unless WWE makes it part of the Rousey/Lynch feud. Having Rousey get a dominant win over Charlotte Flair would help hype the confrontation between Rousey and Lynch. 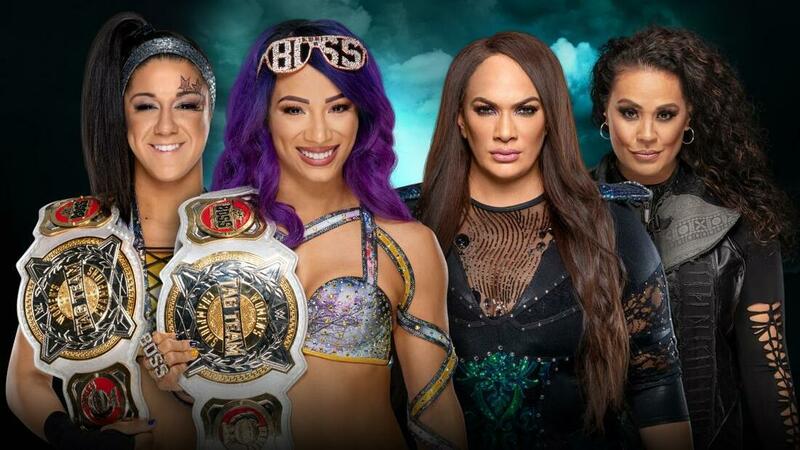 Another thing that all of this does is set in motion the highly-anticipated Four Horsewomen of MMA vs Four Horsewomen of WWE match. This one is a tough decision. I'm excited to watch this match go down. In the end I have to go with Ronda Rousey. I just have the feeling WWE is doing the dreaded "undefeated streak" gimmick with her. Something they really should avoid. Yet they are still going to do it. We finally get this freaking match. I really thought we missed out on that when Daniel Bryan retired. For those of you that don't remember. WrestleMania 31 season had the return of Daniel Bryan after his triumphant-turned-tragic WrestleMania 30 victory-injury. Yet right when Daniel Bryan got injured. The Shield was no more. WWE would begin to groom Roman Reigns to be "The Man." Yet there was a rightful resistance from the fans. Who were still in love with Daniel Bryan's story and victory from a year ago. 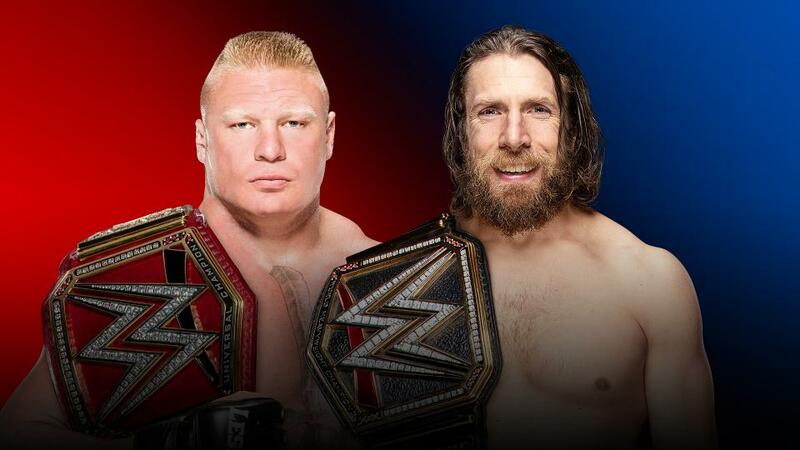 Leading us to believe the ultimate redemption storyline would be Daniel Bryan facing Brock Lesnar for the title he never lost. Unfortunately WWE went in a different direction due to Bryan's injury concerns and placed Reigns in the match with Lesnar. Thankfully, Seth Rollins cashed in and made an iconic WrestleMania moment. Fast forward to Survivor Series. Daniel Bryan now a heel. After defeating AJ Styles on SmackDown for the WWE Championship. It's like Daniel Bryan decided he wanted to start fresh after being given a clean bill of health. His ring gear is green and blue instead of the classic maroon and grey. Daniel Bryan is going to be a heel. Once the biggest babyface in the company, decided to reinvent himself. Bryan was a heel-ish character with Kane before he became a mega star. Maybe this turn will lead him back to the light side. All that I know is that Brock Lesnar vs Daniel Bryan is a dream match. It's another match I never thought we would witness. To all the "size critics" on Twitter... Daniel Bryan will be just fine against Brock Lesnar. Size means nothing in WWE. Remember this man defeated 3/4 of Evolution in one night. Even though Daniel Bryan is a changed character. I plan on rooting for him on Sunday against Brock Lesnar. WWE wants him to work that match as a babyface and I think that's obviously the right call. It pains me to predict Brock Lesnar because Daniel Bryan would of been the ultimate choice to slay the beast. The ultimate underdog defeats the beast. I really hope I'm wrong and we see a major YES wave on Sunday night. Triple Z makes predictions for WWE's Hell in a Cell event. RAW and SmackDown continue to try and one up each other. I'm sure we will start to see more hints of this on the way to Survivor Series. We get the second installment of the "Wendy" saga, a dream match of 2009, and Rousey's fist title defense. This is clearly going to go in New Day's favor. It is a shame that The New Day are on the kickoff show. Yet, maybe they provide the correct energy to get people to subscribe to the WWE Network. I mean most people are subscribers if they are watching. This is also a offshoot of the co-branded pay-per-views. The cards are better but more spots are already filled with more prestigious titles. The New Day will continue to ride the success train. I don't expect them to drop the title to a tandem that has already tried. One of the biggest WWE storylines of 2018 is the revival of Dolph Ziggler. Some may argue that he was bringing it on SmackDown but in reality this is the most we have talked about him in months. What does that say about Drew McIntyre? What does that say about RAW creative? Will WWE continue to give RAW less talent in order to establish new "main-event" styled talent. Although Ziggler is on this phenomenal run. Winning championships and all, there comes a point when he is going to drop the title. 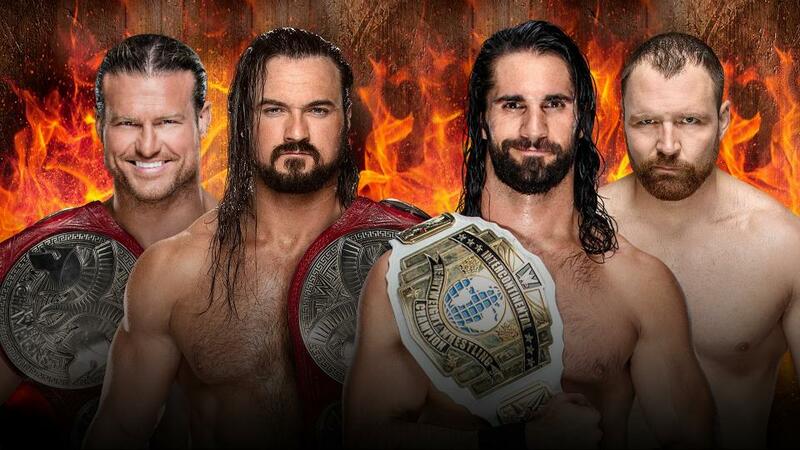 In this case Ziggler/McIntyre probably will drop the tag titles. So we get the championship filled Shield on Monday nights. Hopefully this doesn't cause a downward spiral for Ziggler/McIntyre but it might. I know on SmackDown it was for storyline purposes but one can wonder can Maryse still go? We know Brie Bella can. Will Maryse show up this Sunday? Although her involvement doesn't matter in the larger picture it plays a pivotal role in this tag match. 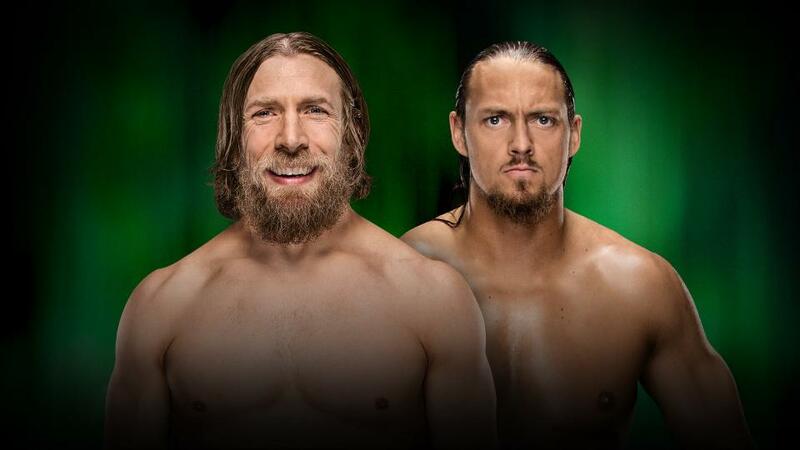 Whatever happens in this match will lead to another solo showdown between Bryan/Miz. Which makes me think that Daniel Bryan and Brie Bella will win this round. But the war is far from over. WWE will try to push Becky Lynch as an anti-hero. Charlotte Flair is obviously WWE's golden girl. If they are setting her up to beat Ronda Rousey at WrestleMania 35. It is a poor decision. Lynch should win this Sunday. Let's highlight the word should. Her arc is ever changing and it is time for WWE to cool the jets on Charlotte Flair. Especially if they want that dream match. Party like it is 2009. I actually have no issues with this match. Jeff Hardy can still go, and Orton is sadistic. 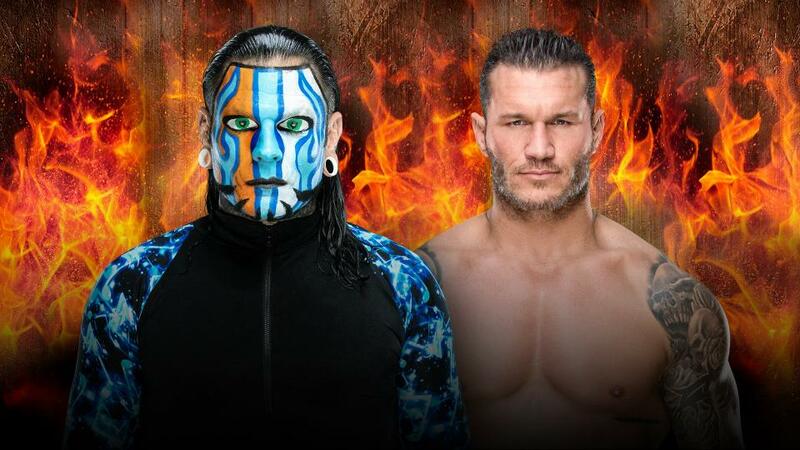 I never thought a Randy Orton/Jeff Hardy feud would happen in 2018. Especially with the fresh crop of talent that surrounds both men. Due to their veteran presence they are having their match inside Hell in a Cell. A barbaric structure that will allow Randy Orton to deliver punishment to Jeff Hardy. The tall structure also may be used as a leaping point for Jeff Hardy. This has incredible potential to steal the show. Once again nostalgia sells. Orton will win after Hardy goes through some extreme spots. I'm sure we will see a plethora of RKO's. This match has so many layers. Reason being the impending Evolution event. Will WWE swallow their pride and not have Charlotte Flair main event? The confirmed matches are Lita vs Mickie James (weird right?) and Trish Stratus vs Alexa Bliss. The rumored match is Nikkie Bella vs Ronda Rousey. So where will this title go? I'm going to go bold. Everyone is predicting Rousey, and I think it would be good for her to take a loss. Even if the loss isn't clean. 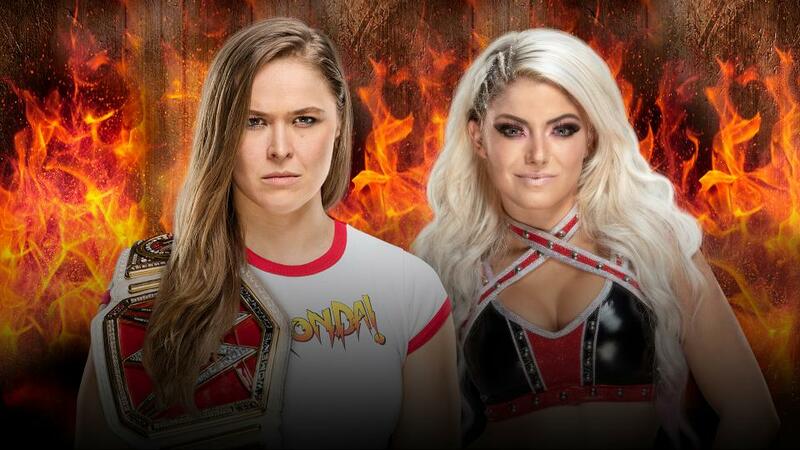 Bliss and Stratus with the title on the line could be something wild to watch. But Rousey and Bella could be an insane title match too. Although I so badly want to pick the upset in Bliss. I know WWE is going to want either Rousey or Flair to main event. Meaning that the title is staying on Ronda Rousey. One of the best matches at SummerSlam. We finally get a second chapter to the Wendy saga. I wonder what the betting odds are for Samoa Joe saying "Wendy." This match deserved Hell in a Cell. This rivalry is personal, and it feels real. Hardy/Orton must of used their veteran leverage. Anyways, I think Joe wins purely on the mind games. While looking at this card. I realized WWE didn't give any women's match a Hell in a Cell match. After 2016's fist women's Hell in a Cell match you would of thought with WWE's (r)evolution going on they would've given Rousey/Bliss or Lynch/Flair the opportunity to duke it out inside the cell. Also why can't we just have three Hell in a Cell matches? If not rename this event so we can use this match all year. So is Mick Foley going to be used as a prop? Also WWE basically ruined Braun Strowman by turning him heel. You had an organic monster babyface and you decided to turn him heel? Roman Reigns haters will keep hating there is no need to pander to them. I mean I use to hate Reigns' booking. Now it is more of a shrug because it has gotten better. Obviously Strowman isn't going to win this. ZWrestleTalk's Triple Z once again predicts and analyzes WWE's SummerSlam. 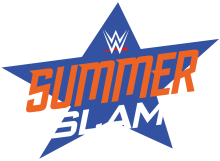 SummerSlam is another long event for WWE. We have a kickoff show that has three matches. That right there tells you it is going to be a long night. Even though SummerSlam itself may be long, it is a stacked card. Bo Dallas and Curtis Axel were elevated during their time with The Miz. It is debatable that Axel can be entertaining under any circumstance. Dallas and Axel have had a mediocre rise in a flailing tag team division. A division that utilized a underperforming mid-card rivalry and made the rivals into partners (Matt Hardy & Bray Wyatt). Like Axel said on RAW, "this has been the best run of our lives." Yet the run is coming to a close. 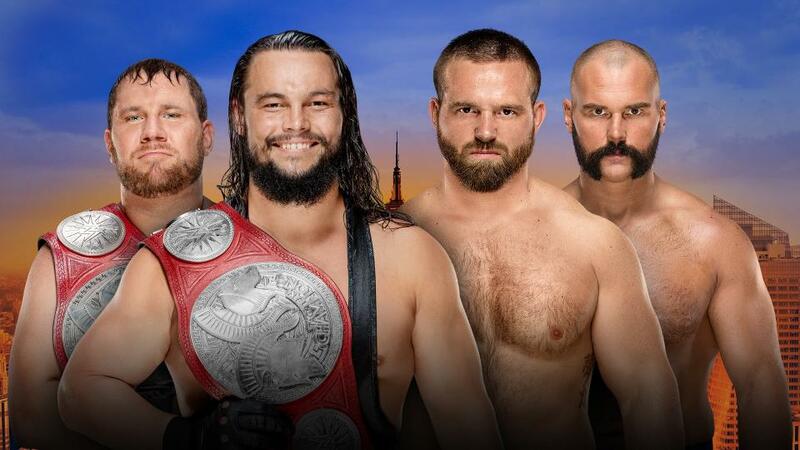 The Revival have been groomed since the golden days of NXT. The throwback team has been waiting for their time to shine. It looks like the crowning will happen this Sunday. Almas & Vega are regulated to the kickoff show. Maybe if they get a convincing victory over Rusev and Lana they will ascend to better things. Almas and Vega is a duo that is impossible to screw up. They should be a sure bet for this Sunday. I don't follow 205 Live. I loved the concept of the Cruiserweight division when it was first introduced on RAW. The execution was so lazy and unthoughtful that it really diminished the value the division had. Post-Enzo, they are trying to reboot the division and make it important again. Drake Maverick was brought in to be the charismatic general manager. Yet things on kickoff shows aren't deemed important. The Cruiserweight Championship hasn't been defended on a main card in forever. It has always taken place on the kickoff. So yeah Cedric Alexander will probably retain. Until we see a clear, new face take charge. The New Day should be able to reach the top again. The perfect time to change the guard would be at SummerSlam. 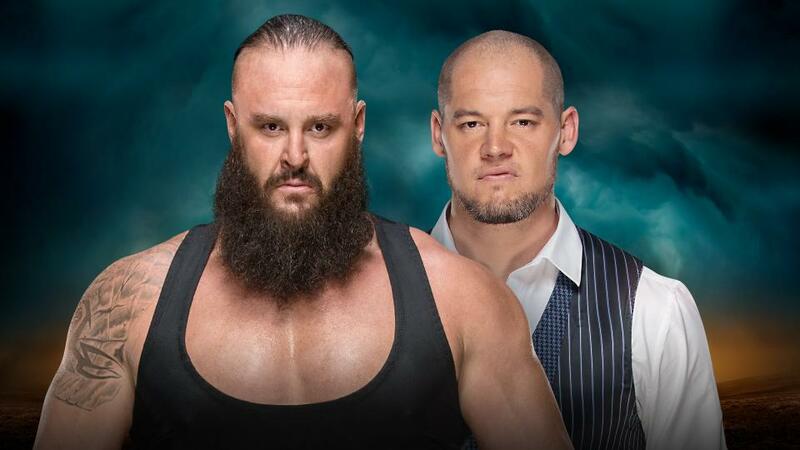 End this feud, and just get rid of Constable Baron Corbin. This has been dreadful to watch. WWE is diminishing Balor's value by giving him no direction to succeed. Yet he can't afford to lose in these bad feuds. I don't see a Hardy victory coming. Nakamura is likely to hold on the hot potato U.S title for awhile. 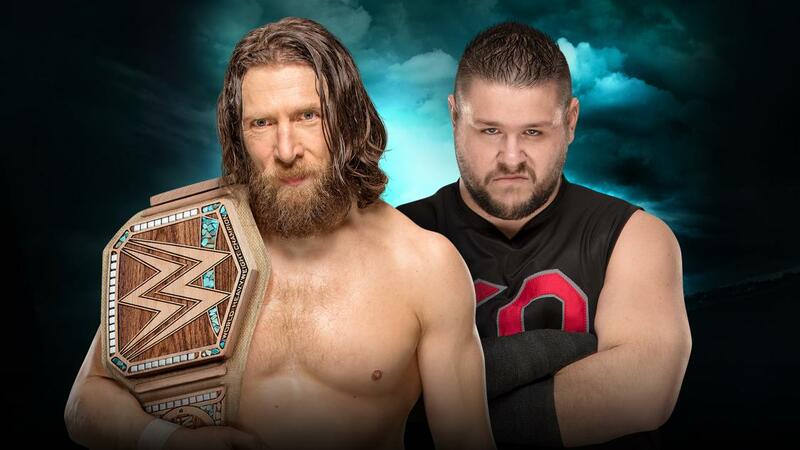 One of the most highly-anticipated matches in WWE this year. The tension has been building ever since the infamous Talking Smack moment. Daniel Bryan made a miraculous comeback. The Miz has constantly been elevating himself into WWE's primetime heel. Earning himself and his wife a reality spinoff of their own on USA Network. This match will be personal. It also should be one of the best storytelling matches on the main roster. Similar to the emotions of Gargano/Ciampa although that will be hard to top. Could this possibly lead to Daniel Bryan/Brie Bella VS The Miz/Maryse. The first encounter is hard to predict because many of us never thought we would get the shot to witness this match. I'm going to just buckle up and enjoy the ride. Daniel Bryan and The Miz could easily be "match of the night." My gut feeling says The Miz will get a dirty heel victory. Carmella has had a longer and more successful reign then we expected. Fans have been waiting for Becky Lynch to finally get another opportunity at the title. Yet Charlotte Flair has been interjected into the mix. Diminishing Becky Lynch's opportunity at the title. There could be a couple of reasons why Charlotte Flair was placed into this match. 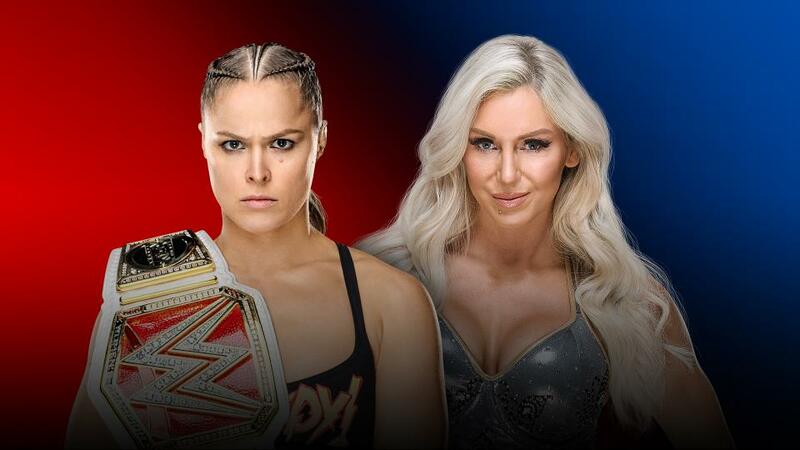 1) WWE is planning Rousey VS Flair for WrestleMania 35, and leaving Charlotte off a big card would look "bad." 2) WWE using point 1 above as a easy way to use Charlotte's rematch clause. The reign of Carmella has shocked, impressed, and frustrated some fans. No matter what type of fan you are, this reign is probably going to continue. Becky Lynch's second crowning can't be minimized by Charlotte Flair. Also to elaborate more on point 1. Why does Charlotte Flair need to be in this match? Can't WWE book more than two Women's matches? That would've been nice before the historic Evolution event. Yeah, you can count Lana VS Vega as a match technically but WWE could of easily had Charlotte Flair take on Asuka or the IIconics. It's just not a good scene for Becky Lynch always battling the shadow of the "Four Horsewomen." It really has affected all of them. Sasha, Bayley, and Becky have fallen to the shadow. Charlotte Flair has been able to squeak by. Carmella may survive again, and I'm totally cool with that. 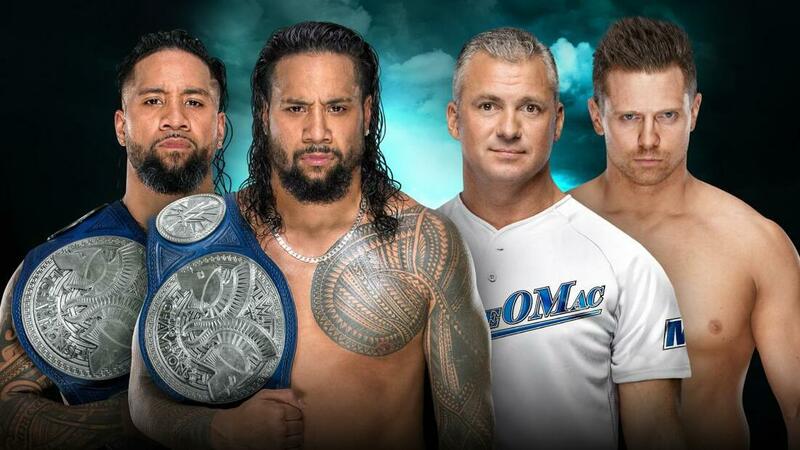 I'm feeling confident that Dolph Ziggler and Drew McIntyre are going to continue to revive their careers with the Intercontinental Championship in their hands. 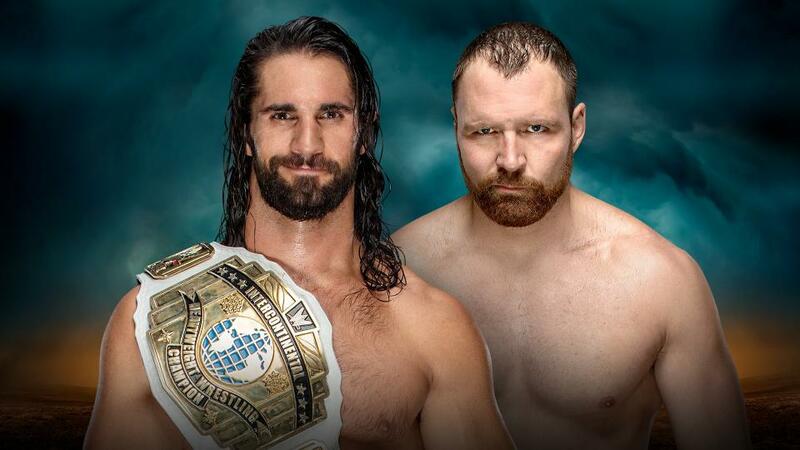 Seth Rollins may be screwed by Dean Ambrose in this match. 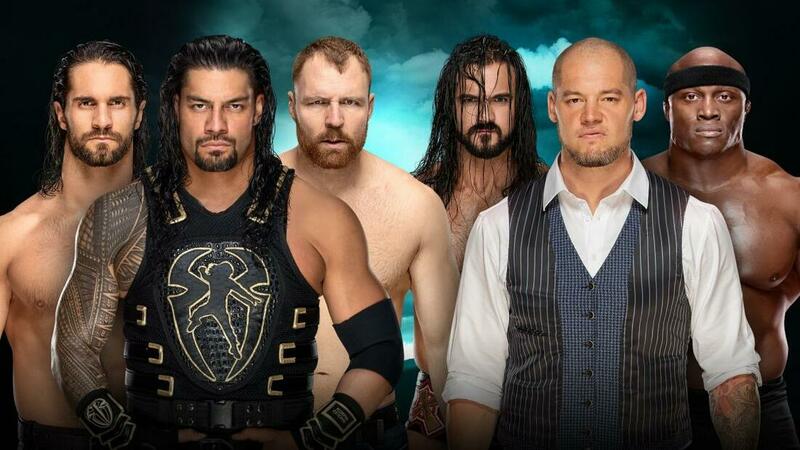 Especially if Reigns wins the title, WWE will get the ultimate creative option of executing a "Shield" feud and triple threat match at WrestleMania for the title. Could a Shield triple threat main event WrestleMania? Possibly. I think Ziggler will defeat Rollins with some help from McIntyre and maybe from a salty Dean Ambrose. 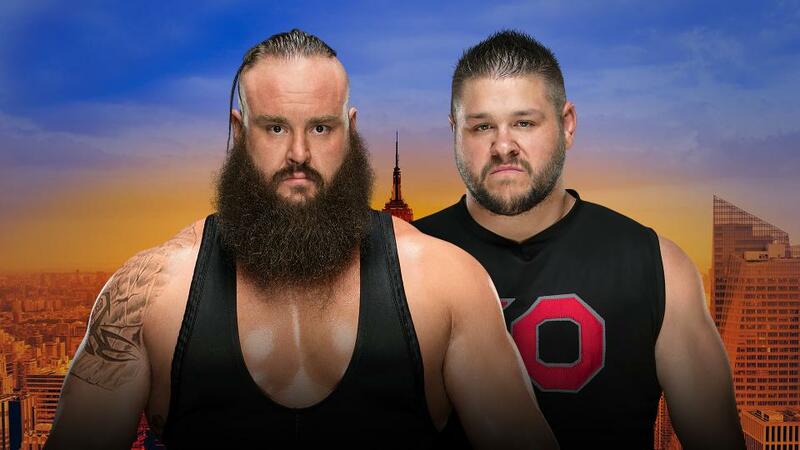 I can't imagine Kevin Owens winning the Money in the Bank contract from Braun Strowman. I also rather have a face hold the briefcase for once. Strowman cashing in on Lesnar or Reigns would be great. I still feel Braun is going to wait awhile to cash in. I think he defeats Owens tonight pretty sound. This should be an epic match. Even better then Rousey's first championship match. Alexa Bliss is a fantastic heel, and has proven on multiple occasions that she can hold her own. Rousey hasn't had a bad outing yet. Rousey has been protected but she hasn't been too bad in the ring. I think Rousey will win by knockout to showcase her dominance. AJ Styles has been holding the belt for awhile. Samoa Joe is officially back. All I can say. It's truly incredible to think about how far AJ Styles and Samoa Joe have come. What's more ironic is that they are still using their same names. This has potentially to be a epic showdown if they are given the time, and if they aren't put in a bad cool down spot. 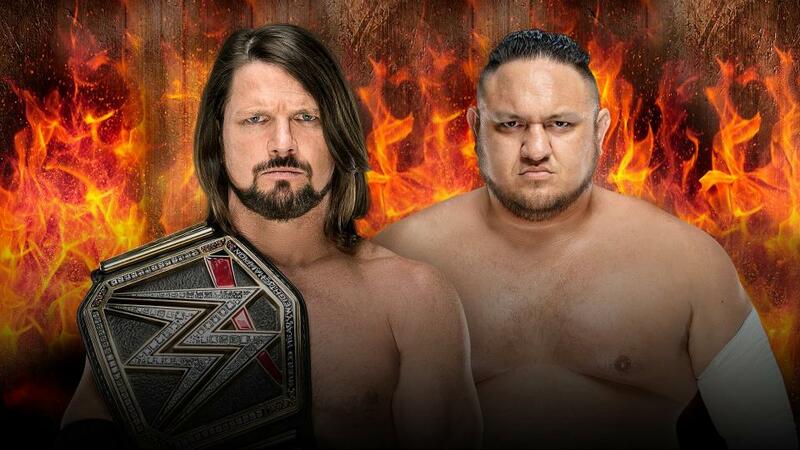 I think Samoa Joe will defeat AJ Styles. Hinting at a potential Paul Heyman twist on RAW. 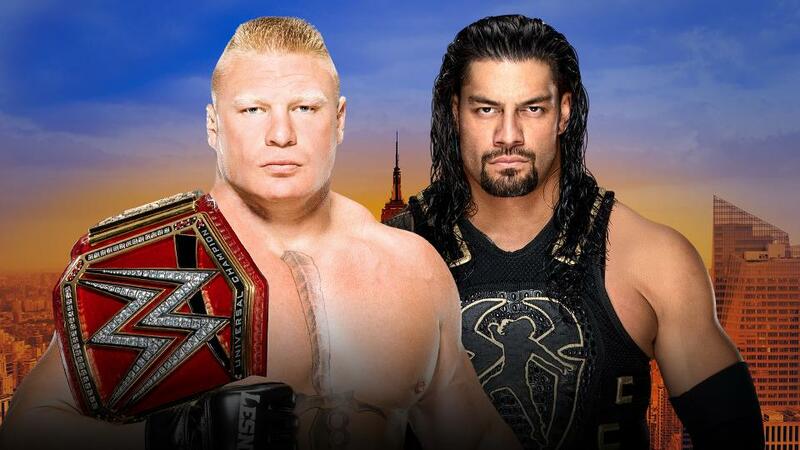 Yet, this will be the fourth encounter of Reigns and Lesnar. It would be hard to imagine Lesnar beating Reigns again. It is hard but truly it is WWE's most likely scenario. WWE wants Lesnar to keep winning and possibly hold the UFC title too. It would look epic. Reigns suffering another gut-wrenching loss would be a intriguing storyline. Reigns winning would give WWE more creative options with a full time champion. There really isn't a lot of dream matches left for Brock Lesnar. The writing may be on the wall... Not to mention his schedule doesn't allow him to actually create dream match scenarios anymore. 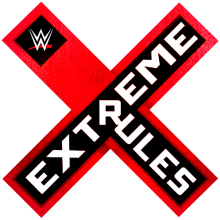 Triple Z discusses Extreme Rules and how the event has potential to be great fun but has no stakes. WWE is currently in a downward spiral. Since the big news of the FOX deal, WWE has resorted to lazily booking and even sometimes repeating the same exact segments. Is WWE struggling to center RAW around a superstar? The usual John Cena and Brock Lesnar storylines have been absent for the summer. I've been saying this for awhile but RAW lacks the depth necessary to carry a three hour show. Reason why SmackDown can have the inferior roster is because it is the shorter show, and they can fully maximize their great talent. Even if you used SmackDown's current roster on RAW it would be a better show by far. Now we get to Extreme Rules. A gimmick event that was originated basically out of WWE's version of ECW. So each match should have a gimmick right? Most do but some don't which in most cases is all good. Why can't we have nice things though? Just let every match be a gimmick. That's what this night is all about. Andrade "Cien" Almas being on the Kickoff show is quite confusing. 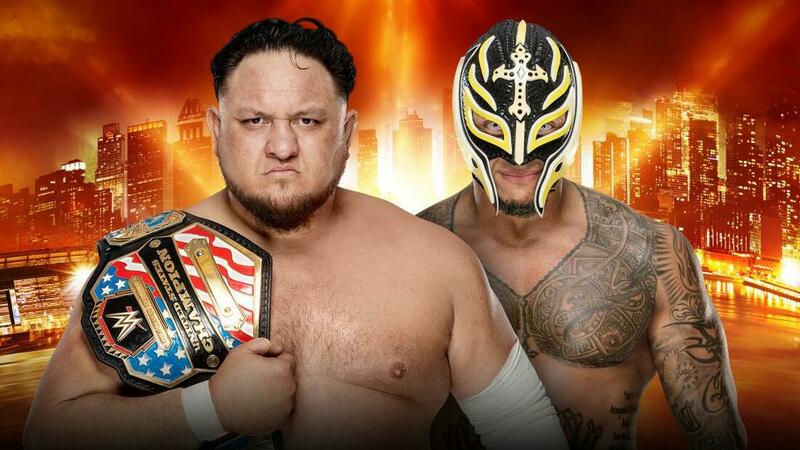 Even if his match is against Sin Cara shouldn't you highlight him on the main card? This could be one of the downsides of co-branded events. Less opportunity for the new fresh from NXT guys to get over. Almas is being groomed for greatness. Especially with Zelina Vega at his side. 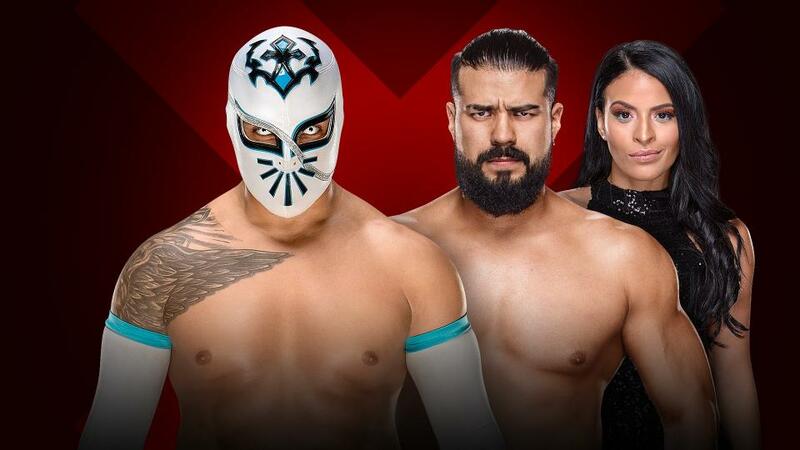 I think WWE's big feud of 2019 will be Daniel Bryan feuding with Andrade "Cien" Almas over the WWE Championship. There is high hopes for Almas. So he's going to take the win here. Once again, how in the world is this not on the main card? The New Day getting bumped to Kickoff? This is a highly anticipated match and I don't know why it's not being hyped much larger. 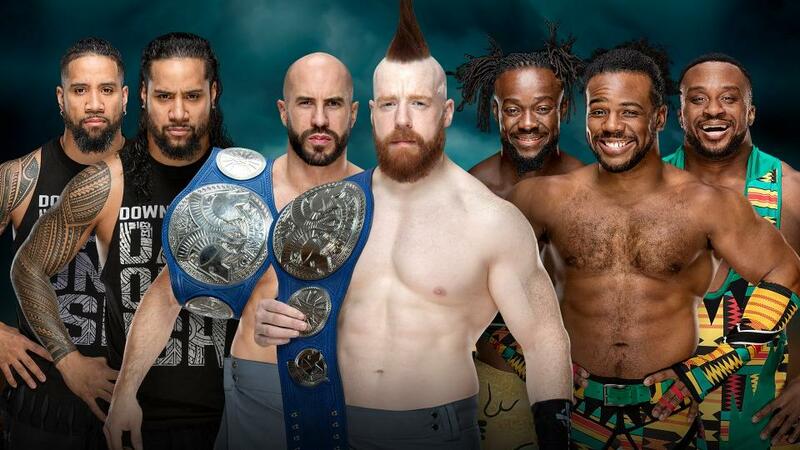 I'm expecting SAnity to destroy The New Day in this first contest. Even though Finn Balor is a former WWE Universal Champion. How in the world does this match make the main card? "Constable" is unbearable to watch. Corbin was sent to RAW without a purpose. He shaved his head, and once again we have a weird authority figure lurking on RAW. Finn is falling down the ranks, and this feud will further his downfall. Honestly I feel Vince doesn't want Balor to succeed yet. So I have to go with Corbin in this one. Curtis Axel is the most resilient performer on the roster. Give Axel and Bo the straps even if they end up losing them on Monday. This match has a goofy stipulation. Carmella has proved she can walk the walk. Yet I feel WWE is anxious to finally give Asuka a title again. Now that the streak mystique is gone. Asuka can finally ascend to the top of SmackDown Live without criticisms of a undefeated streak. Carmella and Ellsworth will move on to another feud. There will be a lot of moving parts in this match. We of course have Nia Jax trying to win back the title from Alexa Bliss. Ronda Rousey will be sitting ringside. 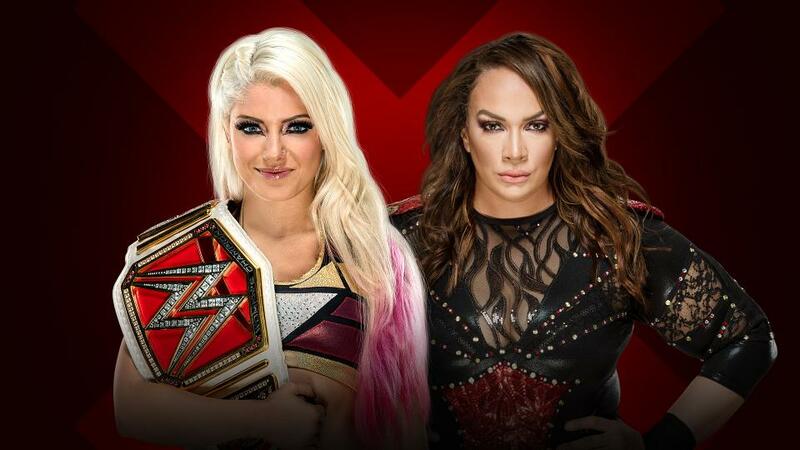 Mickie James, who has become very close to Alexa Bliss, will interfere in this Extreme Rules match. All this chaos favors Alexa Bliss. 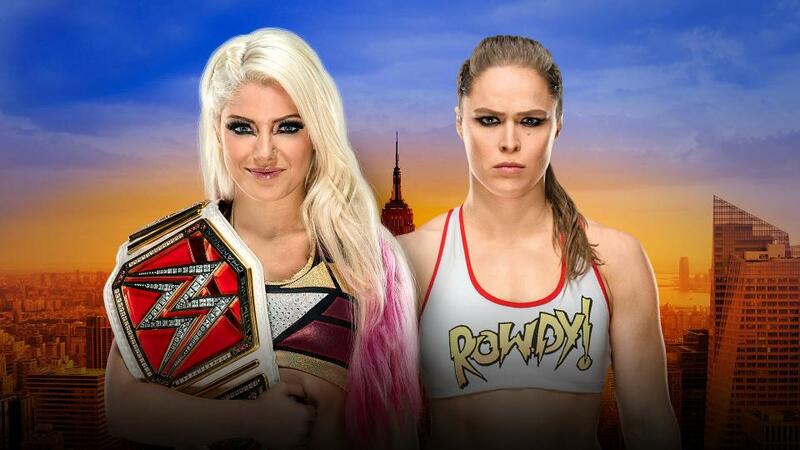 SummerSlam we need the payoff of Ronda Rousey VS Alexa Bliss and this is the only way to make it happen. This is a fascinating dream match. 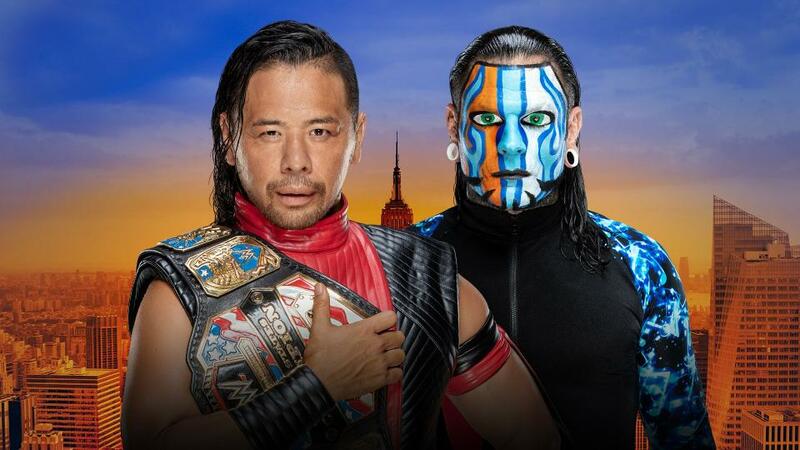 Jeff Hardy will battle Shinsuke Nakamura. This will be a mix of styles and could be one of the finer matches of the night. I actually see Shinsuke Nakamura winning here. Dolph Ziggler has somehow rejuvenated his career on Monday Night RAW. That is a startling accomplishment considering how hard it is to gain momentum on RAW. Yet the duo of Ziggler and McIntyre somehow works. Ziggler has been enthralling in his feud with Rollins. Not to mention Seth Rollins has been performing at an all time high. The Iron Man match should deliver. Sometimes a Iron Man match can become a snoozefest. With a reborn Dolph Ziggler and a impeccable Seth Rollins this looks to be one of the cornerstones of this card. Team Hell No is not going to have a glorious reunion. WWE will use Daniel Bryan in a singles program for SummerSlam. Kane has to probably go do mayor stuff. Bludgeon Brothers are going to squeak by. P.S. PLEASE DO NOT START A KANE VS DANIEL BRYAN FEUD. This feud benefits Roman Reigns. Although I think Bobby Lashley needs this victory on Sunday to catapult his return to new heights. Lashley would be a dream opponent for Brock Lesnar. Will Brock Lesnar depart after SummerSlam to go back to the UFC full time? Doubtful. If WWE offers a extension (of truly any kind). Brock would be stupid to turn down the money. Even if the deal ends up around 2 years for $24 million you take that money. Even if WWE gives him significantly less you TAKE that money. I'm sure he will compete in both WWE and UFC. Which leaves WWE in a terrible situation for SummerSlam. 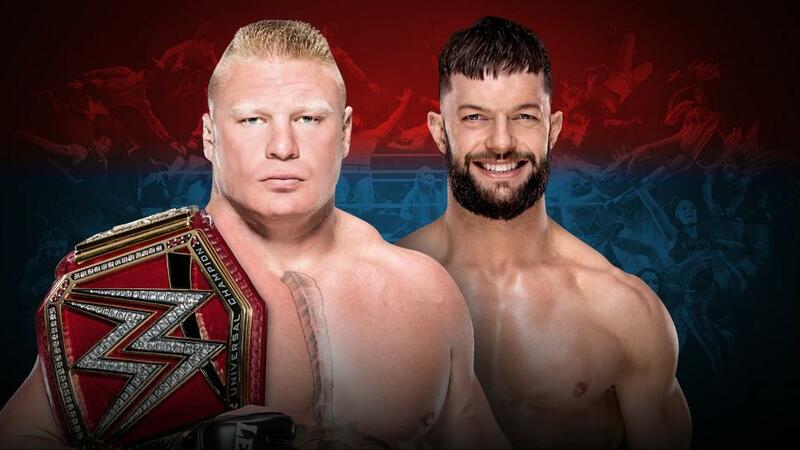 Whoever wins this bout at Extreme Rules will be the contender for Brock Lesnar. Then WWE has to decide if Reigns or Lashely beats Brock Lesnar at SummerSlam despite Lesnar having a UFC Heavyweight Championship match in 2019. Does WWE hold off, and wait for Lesnar to possibly win the UFC Heavyweight Championship. Which would further expand the aura that comes with Brock Lesnar. Or will WWE spare their audience the pain of not having a champion for months on end. WWE's decision will be very interesting. Also will WWE move on from Brock Lesnar? Do they care to pay him that much anymore? A lot of intriguing subjects to take place before SummerSlam. For now, we have Reigns and Lashley as the big time fight. WWE can't be blind and deaf. Despite his vast improvements, it is time to send Bobby Lashley in the ring with Brock Lesnar. This one truly can go either way. 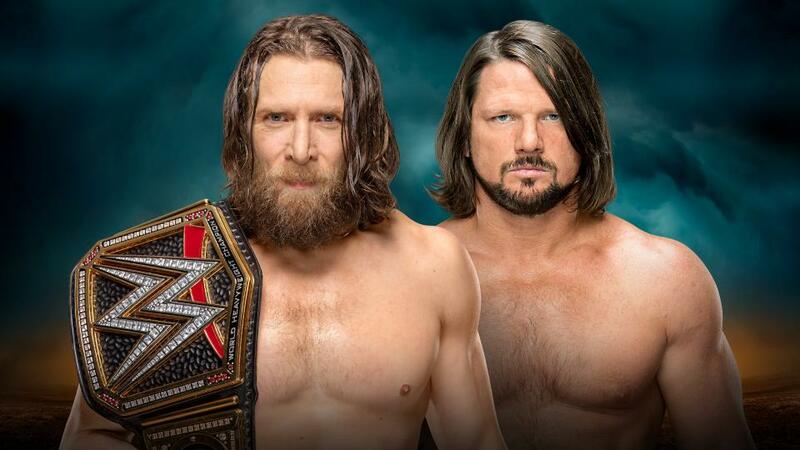 To me this feels like a "filler" match for AJ Styles. Although WWE could capitalize on the "Rusev Day" love. Once again Rusev is the prime example that organically building talent helps them get over. The funnier, realer Rusev alongside a singing Aiden English is more over with the fans then a overly-dramatic Russian/Bulgarian heel that rides on a tank. Sometimes when WWE forces talent on the audience they reject it. When talent grows naturally they start to accept it. That was what happened with Rusev. Styles right now is probably at a crossroads. He just got past a long feud with Shinsuke Nakamura. Whatever he does next should be compelling. Maybe this match exceeds expectations, and we get a good rivalry. Let's play it safe and have AJ win. Thanks for reading my WWE Extreme Rules BreakDownZ. Please feel free to leave a comment below. If you want to write for ZWrestleTalk. Feel free to apply in the Write for ZWrestleTalk section of the site. ​Follow @TripleZ_87 and @ZWrestleTalk on Twitter. 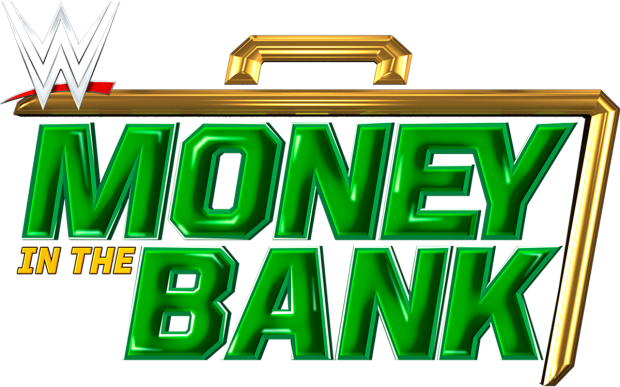 As we approach WWE's Money in the Bank, the first of the newly christened co-branded era. Not to mention the fact that WWE shortsighted us with this event. The RAW and SmackDown event was going to be special. On the same level of the Big Four events (Royal Rumble, WrestleMania, SummerSlam, Survivor Series). The event even has a NXT TakeOver taking place the night before. Yet WWE decided to take the lazy route of giving us only two Money in the Bank matches. When will they ever get up the courage to do three? Doing just a women's Money in the Bank and men's Money in the Bank is dumb. You have the brand split for a reason. Give both brands the opportunity to run with the briefcase. You can still do the brand split twists, but making the Money in the Bank match be four ladder matches would give it a better vibe. Especially if Money in the Bank was going to become the five in the Big 5. Which makes tons of sense. Money in the Bank is a pivotal, game-changing event in the WWE calendar. 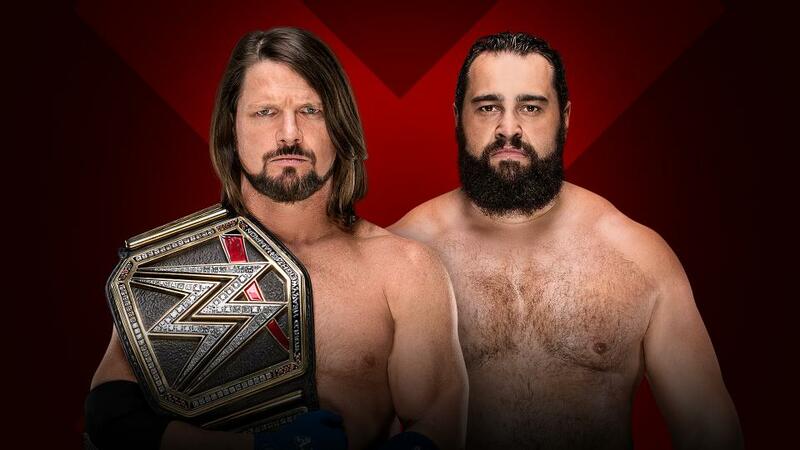 WWE is going to cause a giant flub with this match. Daniel Bryan is going to job to Big Cass. WWE is investing in Big Cass. They are going to want a pay off. Daniel Bryan should be moving on after this feud. So WWE will probably end this storyline with Big Cass on top. Making him a new emerging threat on SmackDown Live. Two incredible talents that have been delivering some of the most bizarre segments in recent memory. Bobby Lashley's stock has plummeted since his WWE return. The once "chosen one" to face Brock Lesnar. Now those plans are non-existent. Zayn and Lashley are stuck on a weaker RAW roster. The only positive to come out of this feud is the return of Sami Zayn. Hopefully, the once promising underdog makes his triumphant return. Plus we can always hope Lashley gets back on track. Lashley will probably semi-squash Sami Zayn. Seth Rollins and Elias are both great in-ring competitors. Despite the issues I have been having with RAW as of late. I can't takeaway that this match could potentially be incredible. Depending on the timing of course. If Elias wins we could see Seth Rollins appear in the main title picture and a possible feud with Brock Lesnar. Rollins probably will win this contest. WWE will keep his momentum with the Intercontinental Championship going. Carmella's reign has been going well. I can't imagine Asuka will take a clean loss. So this match will either end in a way count out, disqualification, or Asuka pulling it off. 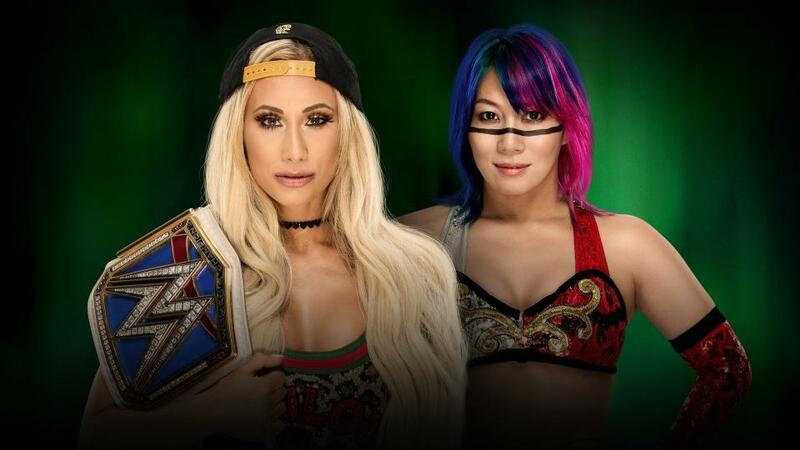 I think Asuka will become the new champion. Roman Reigns may have to face Brock Lesnar again at SummerSlam. At least he has a feud with Jinder Mahal that could potentially give him some main event momentum. Reigns will win this contest with ease. WWE will have to make new plans for Jinder Mahal as he adjusts to his well-deserved main event spot on RAW. Ronda Rousey will win in a dominant performance. WWE knows they have a "Stone Cold" level draw on their hands. Rousey may be the biggest female draw since Trish Stratus. Jax will do the job. Rousey will look strong and it will lead her to a showdown at SummerSlam with someone worthy to face her. WWE loves having Charlotte Flair win in big scenarios. It would be neat to see a Sasha Banks, Alexa Bliss, or Becky Lynch pull it off. Natalya and Naomi both seem like long shots due to their recent success. Ember Moon and Lana could be dark horses. Honestly, I'm going to have to go with Charlotte Flair, just based on her history. 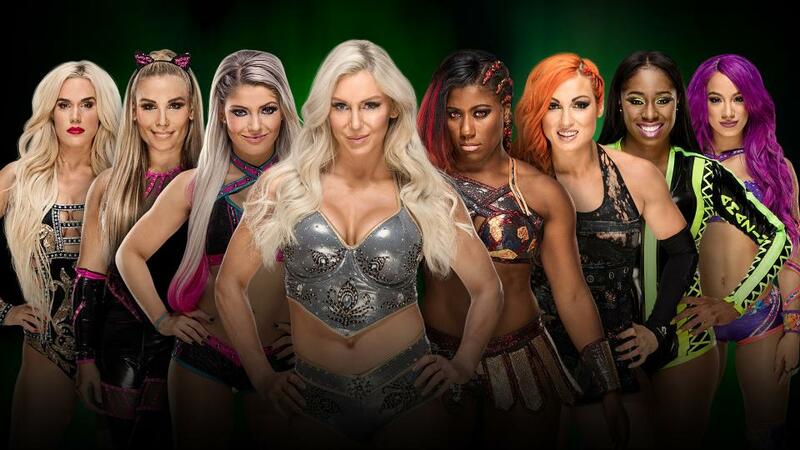 I will say though this Women's Money in the Bank match looks a lot better than last year's. I'm not going to even analyze this match. I'll just leave you with this. (This has potential to go down as one of the best Money in the Bank matches ever. The sheer amount of talent is astounding). Let's kickstart The Miz and Daniel Bryan in a big way.